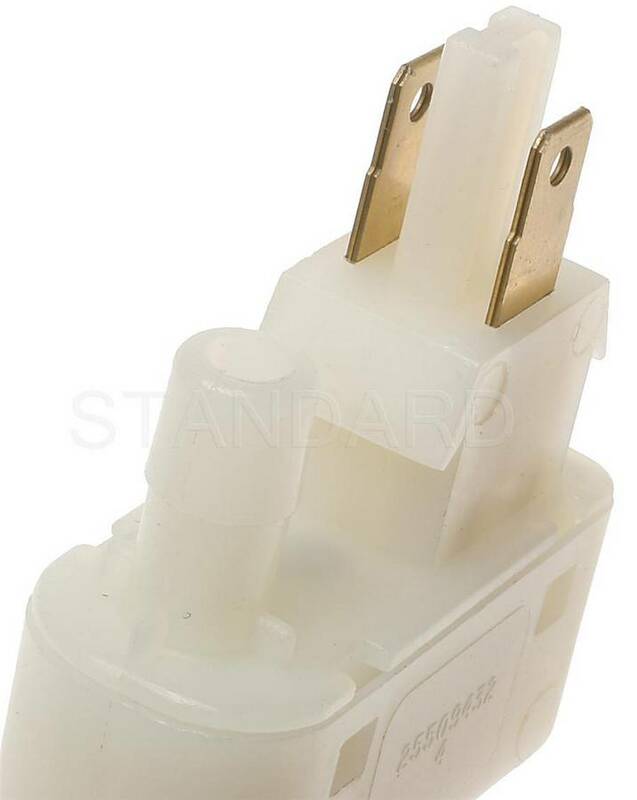 Description : .This top quality Standard Oil Pressure Switch Connector generally fits Chrysler - Dodge - Plymouth - Buick - Cadillac - Chevrolet - Oldsmobile - Pontiac - Ford - AmericanMotors vehicles and includes models such as NewYorker - B150 - B250 - B350 - PB150 - PB250 - Opel - Century - Electra - EstateWagon - LeSabre - Regal - Riviera - Skylark - CommercialChassis - Cimarron - Eldorado - Seville - Cavalier - Impala - Monza - Vega - Delta88 - 6000 - Firebird - GrandLeMans - Sunbird - Ventura - Fairmont - Granada - Mustang - Thunderbird - Eagle with trims including . Engine types may include 2.2 L4 GAS CARB - 2.6 L4 GAS FI - 5.2 V8 GAS FI - 5.9 V8 GAS CARB - 1.8 L4 GAS CARB - 3.8 V6 GAS CARB - 5.7 V8 GAS CARB - 2.5 L4 GAS CARB - 7.5 V8 GAS CARB - 5.7 V8 GAS FI - 6.6 V8 GAS CARB - 5.0 V8 GAS CARB - 4.9 V8 GAS CARB - 7.0 V8 GAS CARB - 4.3 V8 GAS CARB - 6.0 V8 GAS CARB - 4.5 V8 GAS FI - 2.0 L4 GAS CARB - 2.0 L4 GAS FI - 7.4 V8 GAS CARB - 2.3 L4 GAS CARB - 4.1 L6 GAS CARB - 3.3 L6 GAS CARB - 4.2 V8 GAS CARB - 4.2 L6 GAS CARB. 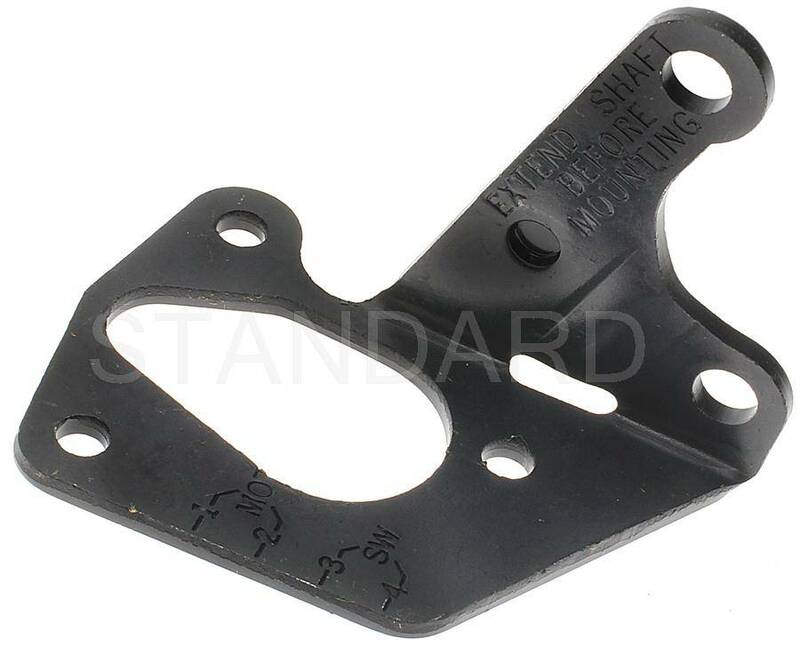 This part fits vehicles made in the following years 1991 - 1990 - 1989 - 1988 - 1984 - 1983 - 1982 - 1981 - 1980 - 1979 - 1978 - 1977 - 1976 - 1975 1970 1969.. 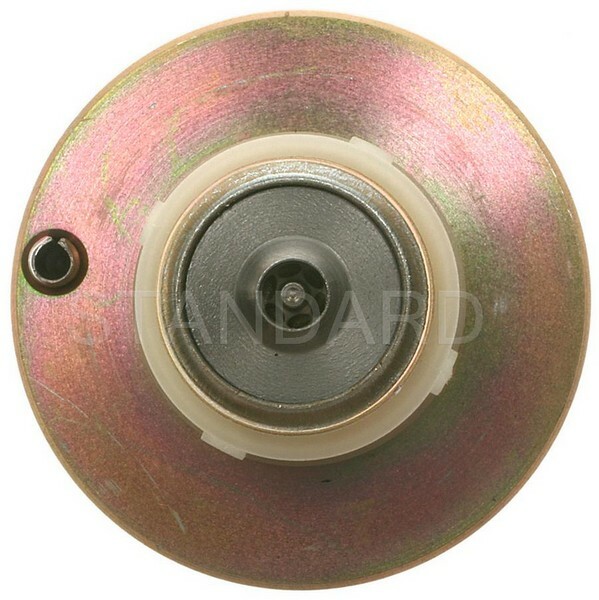 Description : .This top quality Standard Idle Speed Control Motor generally fits Renault - Jeep - Buick - Cadillac - Chevrolet - Oldsmobile - Pontiac vehicles and includes models such as Encore - Fuego - LeCar - Cherokee - Wagoneer - Wrangler - Century - Electra - LeSabre - Regal - Skyhawk - Skylark - CommercialChassis - Allante - Cimarron - DeVille - Eldorado - Fleetwood - Seville - Camaro - Caprice - Cavalier - Citation - ElCamino - Impala - Malibu - MonteCarlo - Cutlass - CutlassSalon - CutlassSupreme - Delta88 - Omega - Toronado - Bonneville - Catalina - Firebird - GrandLeMans - GrandPrix - J2000 - Parisienne - Phoenix - Laurentian with trims including . Engine types may include 1.4 L4 GAS FI - 1.7 L4 GAS FI - 1.6 L4 GAS FI - 1.4 L4 GAS CARB - 2.5 L4 GAS FI - 4.3 V8 GAS CARB - 3.8 V6 GAS CARB - 3.0 V6 GAS CARB - 4.1 V6 GAS CARB - 5.0 V8 GAS CARB - 1.8 L4 GAS CARB - 1.8 L4 GAS FI - 2.5 L4 GAS CARB - 4.1 V8 GAS FI - 4.5 V8 GAS FI - 4.9 V8 GAS FI - 4.6 V8 GAS FI - 6.0 V8 GAS CARB - 5.7 V8 GAS FI - 5.7 V8 GAS CARB. This part fits vehicles made in the following years 1995 - 1994 - 1993 - 1992 - 1991 - 1990 - 1989 - 1988 - 1987 - 1986 - 1985 - 1984 - 1983 - 1982 1981 1980.. 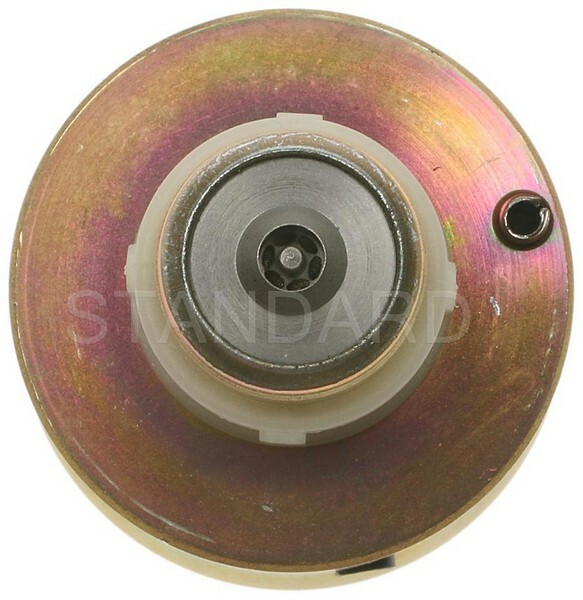 Description : .This top quality Standard Idle Speed Control Motor generally fits Renault - Jeep - Buick - Cadillac - Chevrolet - Oldsmobile - Pontiac vehicles and includes models such as Encore - Fuego - LeCar - Cherokee - Wagoneer - Wrangler - Century - Electra - LeSabre - Regal - Skyhawk - Skylark - CommercialChassis - Allante - Cimarron - DeVille - Eldorado - Fleetwood - Seville - Camaro - Caprice - Cavalier - Citation - ElCamino - Impala - Malibu - MonteCarlo - Cutlass - CutlassSalon - CutlassSupreme - Delta88 - Omega - Toronado - Bonneville - Catalina - Firebird - GrandLeMans - GrandPrix - J2000 - Parisienne - Phoenix - Laurentian with trims including . Engine types may include 1.4 L4 GAS FI - 1.7 L4 GAS FI - 1.6 L4 GAS FI - 1.4 L4 GAS CARB - 2.5 L4 GAS FI - 3.8 V6 GAS CARB - 4.3 V8 GAS CARB - 3.0 V6 GAS CARB - 4.1 V6 GAS CARB - 5.0 V8 GAS CARB - 1.8 L4 GAS FI - 1.8 L4 GAS CARB - 2.5 L4 GAS CARB - 4.1 V8 GAS FI - 4.5 V8 GAS FI - 4.9 V8 GAS FI - 4.6 V8 GAS FI - 6.0 V8 GAS CARB - 5.7 V8 GAS CARB - 5.7 V8 GAS FI. This part fits vehicles made in the following years 1995 - 1994 - 1993 - 1992 - 1991 - 1990 - 1989 - 1988 - 1987 - 1986 - 1985 - 1984 - 1983 - 1982 1981 1980.. Description : .This top quality Standard Vehicle Speed Sensor generally fits Chevrolet - GMC vehicles and includes models such as Silverado2500HD - Silverado3500 - Tahoe - Sierra2500HD - Sierra3500 with trims including . Engine types may include 6.0 V8 GAS FI - 8.1 V8 GAS FI - 5.3 V8 FLEX FI - 4.8 V8 GAS FI. This part fits vehicles made in the following years 2008 2007 2006.. Description : .This top quality Standard Auto Trans Output Shaft Speed Sensor generally fits Chevrolet vehicles and includes models such as Silverado with trims including . Engine types may include 5.7 V8 GAS CARB. This part fits vehicles made in the following years 1999.. 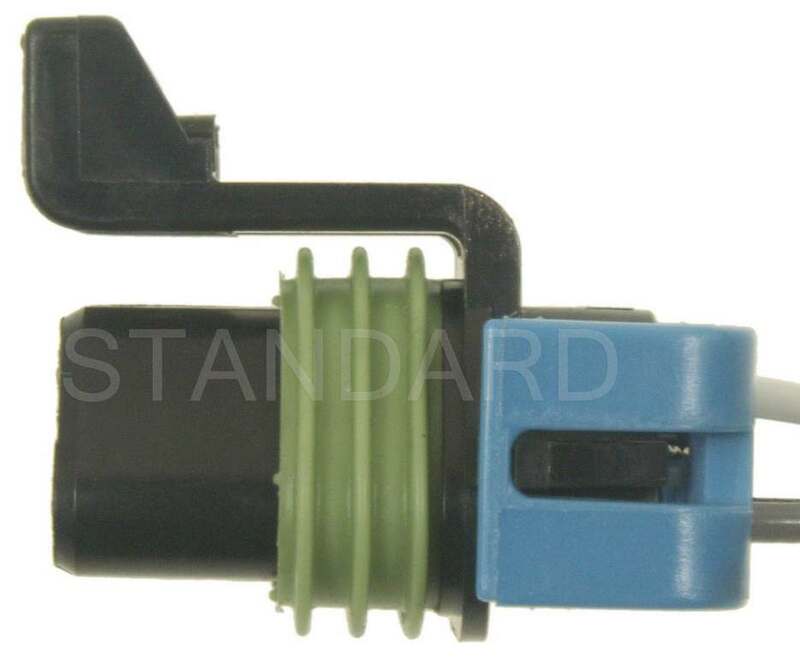 Description : .This top quality Standard Vehicle Speed Sensor generally fits Chevrolet - Geo - Pontiac vehicles and includes models such as Metro - Firefly with trims including . Engine types may include 1.3 L4 GAS FI - 1.0 L3 GAS CARB - 1.0 L3 GAS FI. This part fits vehicles made in the following years 2001 - 2000 - 1999 - 1998 - 1997 - 1996 - 1995 - 1994 1993 1992.. 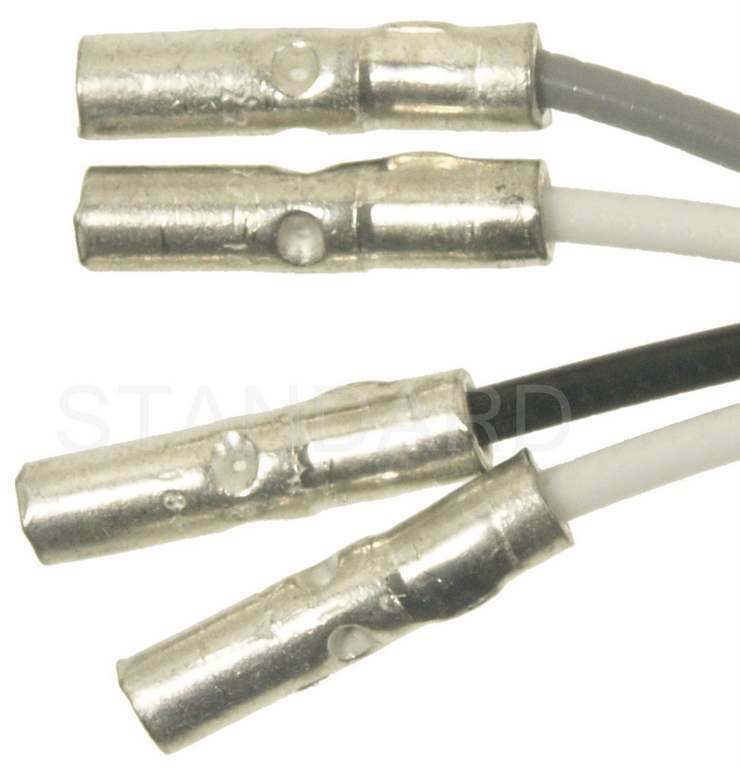 Description : .This top quality Standard Vehicle Speed Sensor generally fits Buick - Cadillac - Chevrolet - Pontiac vehicles and includes models such as Terraza - Lucerne - CTS - Camaro - Impala - Lumina - Malibu - MonteCarlo - Uplander - Bonneville - GrandPrix - GTO with trims including . Engine types may include 3.9 V6 GAS FI - 3.8 V6 GAS CARB - 5.7 V8 GAS FI - 6.0 V8 GAS FI - 6.2 V8 GAS FI - 3.4 V6 GAS FI - 5.3 V8 FLEX FI - 3.5 V6 FLEX FI - 3.1 V6 GAS FI - 3.5 V6 GAS FI - 3.6 V6 GAS FI. This part fits vehicles made in the following years 2010 - 2009 - 2008 - 2007 - 2006 - 2005 2004 1999.. Description : .This top quality Standard Auto Trans Output Shaft Speed Sensor generally fits Cadillac - Chevrolet - GMC - Pontiac - Saturn vehicles and includes models such as Escalade - Express1500 - Silverado1500 - Suburban1500 - Suburban2500 - Tahoe - Savana1500 - Sierra2500HD - Sierra3500 - SierraC3 - Yukon - YukonXL1500 - YukonXL2500 - Solstice - Sky with trims including . Engine types may include 5.7 V8 GAS CARB - 5.3 V8 FLEX FI - 6.0 V8 GAS FI - 8.1 V8 GAS FI - 4.8 V8 GAS FI - 2.0 L4 GAS FI. This part fits vehicles made in the following years 2010 - 2009 - 2006 - 2004 - 2003 2001 1999.. 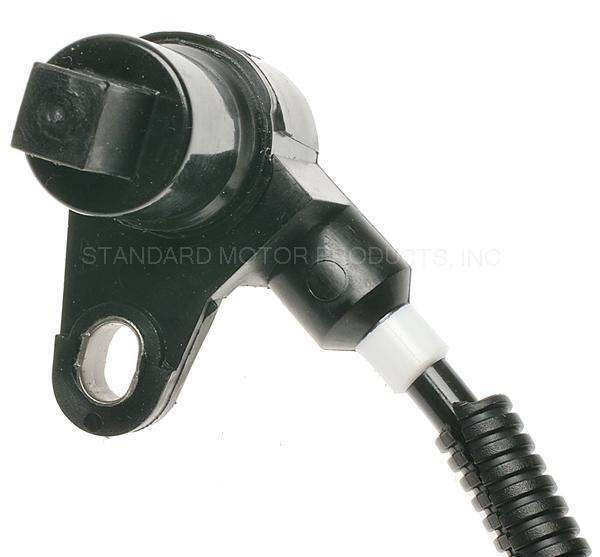 Description : .This top quality Standard Vehicle Speed Sensor generally fits Buick - Cadillac - Chevrolet - Oldsmobile - Pontiac vehicles and includes models such as Century - Eldorado - Seville - LuminaAPV - Achieva - CutlassSupreme - Silhouette - GrandPrix - TransSport with trims including . Engine types may include 3.1 V6 GAS FI - 4.9 V8 GAS FI - 4.6 V8 GAS FI - 3.8 V6 GAS CARB - 3.4 V6 GAS FI. This part fits vehicles made in the following years 2001 - 2000 - 1998 - 1997 - 1996 - 1995 - 1994 1993 1992.. 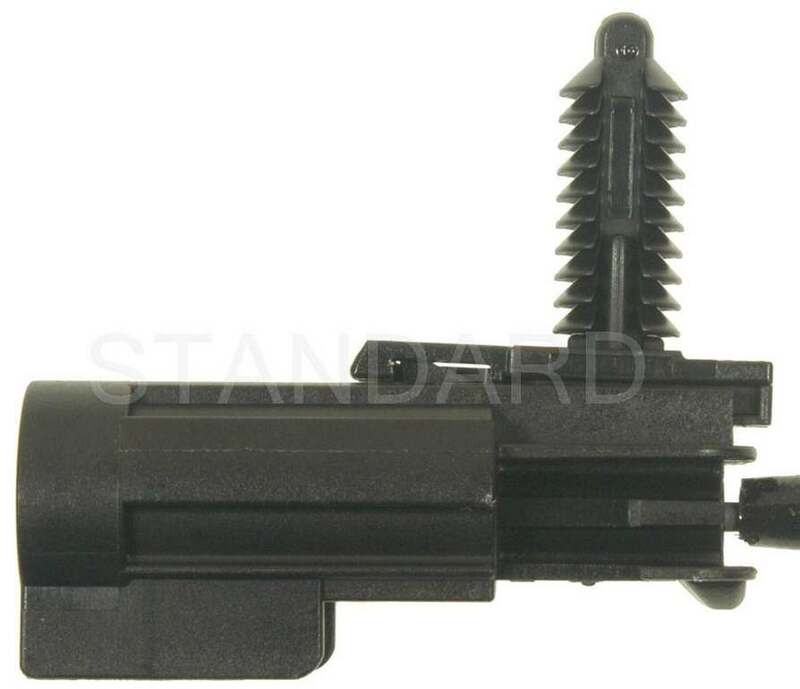 Description : .This top quality Standard Auto Trans Output Shaft Speed Sensor generally fits Buick - Chevrolet vehicles and includes models such as CommercialChassis - C1500 - C2500 - C3500 - Suburban1500 with trims including . Engine types may include 5.7 V8 GAS CARB - 4.3 V6 GAS FI - 6.2 V8 DIESEL FI - 5.0 V8 GAS CARB - 7.4 V8 GAS CARB. This part fits vehicles made in the following years 1995 - 1994 - 1991 - 1990 1989 1988.. 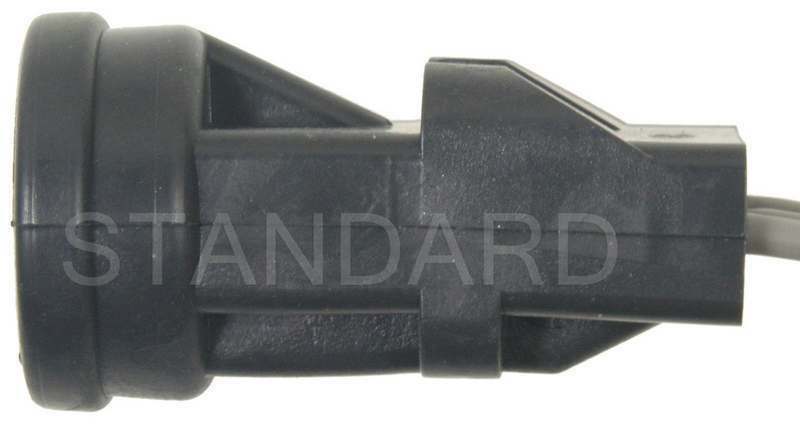 Description : .This top quality Standard Auto Trans Output Shaft Speed Sensor generally fits Buick - Chevrolet vehicles and includes models such as CommercialChassis - C1500 - C2500 - C3500 - Suburban1500 with trims including . Engine types may include 5.7 V8 GAS CARB - 4.3 V6 GAS FI - 5.0 V8 GAS CARB - 6.2 V8 DIESEL FI - 7.4 V8 GAS CARB. This part fits vehicles made in the following years 1995 - 1994 - 1991 - 1990 1989 1988.. Description : .This top quality Standard Starter Drive generally fits Checker - Jeep - Buick - Cadillac - Chevrolet - GMC - Oldsmobile - Pontiac - AmericanMotors - International vehicles and includes models such as Marathon - CJ5 - CJ6 - CJ7 - Cherokee - Comanche - Scrambler - Wagoneer - DJ5 - J-100 - J-2500 - J-2600 - J-2700 - J-3500 - J-3600 - J-3700 - J-3800 - Jeepster - Apollo - Century - Electra - EstateWagon - LeSabre - Regal - Riviera - Roadmaster - Skyhawk - Skylark - Centurion - GS455 - Wildcat - Special - Sportwagon - CommercialChassis - Calais - Cimarron - DeVille - Eldorado - Fleetwood - Brougham - Seville - Astro - BelAir - Blazer - K5Blazer - C10 - C10Suburban - C1500 - C1500Suburban - C20 - C20Suburban - C2500 - C2500Suburban - C30 - C3500 - Camaro - Caprice - Cavalier - Celebrity - Chevette - Citation - Corvette - ElCamino - G10 - G20 - G30 - Impala - K10 - K10Suburban - K1500 - K1500Suburban - K20 - K20Suburban - K2500 - K2500Suburban - K30 - K3500 - Laguna - Malibu - MonteCarlo - Monza - Nova - P10 - P20 - P30 - R10 - R1500Suburban - R20 - R20Suburban - R2500 - R2500Suburban - R30 - R3500 - S10Blazer - V1500Suburban - V20 - V20Suburban - V2500Suburban - V30 - V3500 - Vega - Biscayne - Brookwood - C10Pickup - C20Pickup - C30Pickup - ChevyII - DelRay - G10Van - G30Van - K10Pickup - K20Pickup - K30Pickup - Kingswood - P10Series - P20Series - P20Van - P30Series - P30Van - Townsman - Truck - C10Panel - C30Panel - C20Panel - K20Panel - C40 - CorvairTruck - Chevelle - G20Van - P10Van - C15Suburban - C25Suburban - Caballero - G15 - G1500 - G25 - G2500 - G35 - G3500 - Jimmy - K15Suburban - K25Suburban - P15 - P1500 - P25 - P2500 - P35 - P3500 - S15Jimmy - Safari - Sprint - Yukon - 1000Series - 1500Series - 2500Series - C15/C1500Pickup - C15/C1500Suburban - C25/C2500Pickup - C25/C2500Suburban - C35/C3500Pickup - G1000Series - G15/G1500Van - G25/G2500Van - K15/K1500Pickup - K15/K1500Suburban - K25/K2500Pickup - K25/K2500Suburban - K35/K3500Pickup - P15/P1500Van - P25/P2500Van - P35/P3500Van - PB1000Series - PB15Series - K1000Pickup - 3000 - I1000 - I1500 - I2500 - P1000 - G35/G3500Van - CutlassCalais - CutlassCiera - CustomCruiser - CutlassSalon - CutlassCruiser - CutlassSupreme - Delta88 - Firenza - Omega - Starfire - Toronado - VistaCruiser - Delmont88 - Dynamic - F85 - Jetstar88 - JetstarI - 442 - 6000 - Astre - Bonneville - Catalina - Firebird - GrandAm - GrandLeMans - GrandPrix - GrandSafari - Grandville - J2000 - Parisienne - Phoenix - Sunbird - T1000 - Ventura - GTO - Acadian - Laurentian - StarChief - Executive - Pathfinder - Tempest - Beaumont - Strato-Chief - Spirit - Concord - Eagle - Ambassador - Classic - Javelin - Rebel - American - ScoutII - 1000B - 1000C - 1000D - 1010 - 1100B - 1100C - 1110 - 1200B - 1200D - 1210 - 1300B - 1300C - 1300D - 1310 - DM10 - MSeriesVan - M1100 - M1200 - M1400 - M800 - M800Navy - M800PostOffice - MA1200 - MHC1310 - MS1210 - D300 - AB120 - AM120 - AM130 - C1000 - C1100 - C1200 - C1300 - D1000 - D1100 - D1200 - 1000A - 1100A - 1200A - 1300A - AB1200 - AB140 - AB1400 - AM150 - CM110 - CM75 - CM80 - D1300 - M700 - 1100D - 1200C with trims including . Engine types may include 3.8 L6 GAS CARB - 5.3 V8 GAS CARB - 5.0 V8 GAS CARB - 5.4 V8 GAS CARB - 4.1 L6 GAS CARB - 4.1 L6 GAS FI - 5.7 V8 GAS CARB - 3.7 V6 GAS CARB - 2.5 L4 GAS CARB - 2.8 V6 GAS CARB - 4.3 V8 GAS CARB - 7.5 V8 GAS CARB - 3.8 V6 GAS CARB - 5.7 V8 GAS FI - 6.6 V8 GAS CARB - 3.2 V6 GAS CARB - 4.9 V8 GAS CARB - 4.4 V8 GAS CARB - 3.0 V6 GAS CARB - 7.0 V8 GAS CARB - 4.1 V6 GAS CARB - 1.8 L4 GAS CARB - 2.0 L4 GAS FI - 2.0 L4 GAS CARB - 3.5 V8 GAS CARB - 5.6 V8 GAS CARB - 7.7 V8 GAS CARB - 8.2 V8 GAS CARB - 6.0 V8 GAS CARB - 4.1 V8 GAS FI - 4.3 V6 GAS FI - 4.6 V8 GAS CARB - 6.7 V8 GAS CARB - 6.5 V8 GAS CARB - 7.4 V8 GAS CARB - 4.8 L6 GAS CARB - 4.3 L6 GAS CARB - 3.1 V6 GAS FI - 1.4 L4 GAS CARB - 1.6 L4 GAS CARB - 3.2 L6 GAS CARB - 3.3 V6 GAS CARB - 2.3 L4 GAS CARB - 6.2 V8 DIESEL FI - 3.9 L6 GAS CARB - 2.4 H6 GAS CARB - 5.0 V6 GAS CARB - 5.7 V6 GAS CARB - 6.4 V8 GAS CARB - 6.9 V8 GAS CARB - 3.5 L6 GAS CARB - 3.3 L6 GAS CARB - 4.2 L6 GAS CARB - 3.2 L6 DIESEL FI - 4.0 L6 GAS CARB - 3.6 L6 GAS CARB. This part fits vehicles made in the following years 1995 - 1994 - 1993 - 1992 - 1991 - 1990 - 1989 - 1988 - 1987 - 1986 - 1985 - 1984 - 1983 - 1982 - 1981 - 1980 - 1979 - 1978 - 1977 - 1976 - 1975 - 1974 - 1973 - 1972 - 1971 - 1970 - 1969 - 1968 - 1967 - 1966 - 1965 - 1964 - 1963 - 1962 - 1961 - 1960 - 1959 - 1958 - 1957 1956 1955.. Description : .This top quality Standard Starter Drive generally fits Checker - Jeep - Buick - Cadillac - Chevrolet - GMC - Oldsmobile - Pontiac - AmericanMotors - International vehicles and includes models such as Marathon - CJ5 - CJ6 - CJ7 - Cherokee - Comanche - Scrambler - Wagoneer - DJ5 - J-100 - J-2500 - J-2600 - J-2700 - J-3500 - J-3600 - J-3700 - J-3800 - Jeepster - Apollo - Century - Electra - EstateWagon - LeSabre - Regal - Riviera - Roadmaster - Skyhawk - Skylark - Centurion - GS455 - Wildcat - Special - Sportwagon - CommercialChassis - Calais - Cimarron - DeVille - Eldorado - Fleetwood - Brougham - Seville - Astro - BelAir - Blazer - K5Blazer - C10 - C10Suburban - C1500 - C1500Suburban - C20 - C20Suburban - C2500 - C2500Suburban - C30 - C3500 - Camaro - Caprice - Cavalier - Celebrity - Chevette - Citation - Corvette - ElCamino - G10 - G20 - G30 - Impala - K10 - K10Suburban - K1500 - K1500Suburban - K20 - K20Suburban - K2500 - K2500Suburban - K30 - K3500 - Laguna - Malibu - MonteCarlo - Monza - Nova - P10 - P20 - P30 - R10 - R1500Suburban - R20 - R20Suburban - R2500 - R2500Suburban - R30 - R3500 - S10Blazer - V1500Suburban - V20 - V20Suburban - V2500Suburban - V30 - V3500 - Vega - Biscayne - Brookwood - C10Pickup - C20Pickup - C30Pickup - ChevyII - DelRay - G10Van - G30Van - K10Pickup - K20Pickup - K30Pickup - Kingswood - P10Series - P20Series - P20Van - P30Series - P30Van - Townsman - Truck - C10Panel - C30Panel - C20Panel - K20Panel - C40 - CorvairTruck - Chevelle - G20Van - P10Van - C15Suburban - C25Suburban - Caballero - G15 - G1500 - G25 - G2500 - G35 - G3500 - Jimmy - K15Suburban - K25Suburban - P15 - P1500 - P25 - P2500 - P35 - P3500 - S15Jimmy - Safari - Sprint - Yukon - 1000Series - 1500Series - 2500Series - C15/C1500Pickup - C15/C1500Suburban - C25/C2500Pickup - C25/C2500Suburban - C35/C3500Pickup - G1000Series - G15/G1500Van - G25/G2500Van - K15/K1500Pickup - K15/K1500Suburban - K25/K2500Pickup - K25/K2500Suburban - K35/K3500Pickup - P15/P1500Van - P25/P2500Van - P35/P3500Van - PB1000Series - PB15Series - K1000Pickup - 3000 - I1000 - I1500 - I2500 - P1000 - G35/G3500Van - CutlassCalais - CutlassCiera - CustomCruiser - CutlassSalon - CutlassCruiser - CutlassSupreme - Delta88 - Firenza - Omega - Starfire - Toronado - VistaCruiser - Delmont88 - Dynamic - F85 - Jetstar88 - JetstarI - 442 - 6000 - Astre - Bonneville - Catalina - Firebird - GrandAm - GrandLeMans - GrandPrix - GrandSafari - Grandville - J2000 - Parisienne - Phoenix - Sunbird - T1000 - Ventura - GTO - Acadian - Laurentian - StarChief - Executive - Pathfinder - Tempest - Beaumont - Strato-Chief - Spirit - Concord - Eagle - Ambassador - Classic - Javelin - Rebel - American - ScoutII - 1000B - 1000C - 1000D - 1010 - 1100B - 1100C - 1110 - 1200B - 1200D - 1210 - 1300B - 1300C - 1300D - 1310 - DM10 - MSeriesVan - M1100 - M1200 - M1400 - M800 - M800Navy - M800PostOffice - MA1200 - MHC1310 - MS1210 - D300 - AB120 - AM120 - AM130 - C1000 - C1100 - C1200 - C1300 - D1000 - D1100 - D1200 - 1000A - 1100A - 1200A - 1300A - AB1200 - AB140 - AB1400 - AM150 - CM110 - CM75 - CM80 - D1300 - M700 - 1100D - 1200C with trims including . Engine types may include 5.0 V8 GAS CARB - 3.8 L6 GAS CARB - 5.3 V8 GAS CARB - 5.4 V8 GAS CARB - 4.1 L6 GAS CARB - 5.7 V8 GAS CARB - 4.1 L6 GAS FI - 3.7 V6 GAS CARB - 2.5 L4 GAS CARB - 2.8 V6 GAS CARB - 4.3 V8 GAS CARB - 7.5 V8 GAS CARB - 3.8 V6 GAS CARB - 6.6 V8 GAS CARB - 5.7 V8 GAS FI - 3.2 V6 GAS CARB - 4.9 V8 GAS CARB - 4.4 V8 GAS CARB - 3.0 V6 GAS CARB - 7.0 V8 GAS CARB - 4.1 V6 GAS CARB - 1.8 L4 GAS CARB - 2.0 L4 GAS CARB - 2.0 L4 GAS FI - 3.5 V8 GAS CARB - 5.6 V8 GAS CARB - 7.7 V8 GAS CARB - 8.2 V8 GAS CARB - 6.0 V8 GAS CARB - 4.1 V8 GAS FI - 4.3 V6 GAS FI - 4.6 V8 GAS CARB - 6.7 V8 GAS CARB - 6.5 V8 GAS CARB - 7.4 V8 GAS CARB - 4.8 L6 GAS CARB - 4.3 L6 GAS CARB - 3.1 V6 GAS FI - 1.4 L4 GAS CARB - 1.6 L4 GAS CARB - 3.2 L6 GAS CARB - 3.3 V6 GAS CARB - 2.3 L4 GAS CARB - 6.2 V8 DIESEL FI - 3.9 L6 GAS CARB - 2.4 H6 GAS CARB - 5.0 V6 GAS CARB - 5.7 V6 GAS CARB - 6.4 V8 GAS CARB - 6.9 V8 GAS CARB - 3.5 L6 GAS CARB - 3.3 L6 GAS CARB - 4.2 L6 GAS CARB - 3.2 L6 DIESEL FI - 4.0 L6 GAS CARB - 3.6 L6 GAS CARB. This part fits vehicles made in the following years 1995 - 1994 - 1993 - 1992 - 1991 - 1990 - 1989 - 1988 - 1987 - 1986 - 1985 - 1984 - 1983 - 1982 - 1981 - 1980 - 1979 - 1978 - 1977 - 1976 - 1975 - 1974 - 1973 - 1972 - 1971 - 1970 - 1969 - 1968 - 1967 - 1966 - 1965 - 1964 - 1963 - 1962 - 1961 - 1960 - 1959 - 1958 - 1957 1956 1955.. Description : .This top quality Standard Oxygen Sensor generally fits Cadillac - Chevrolet - GMC vehicles and includes models such as Escalade - C3500 - Silverado1500 - Silverado1500HD - Silverado2500 - Silverado2500HD - Silverado3500 - Suburban1500 - Suburban2500 - Silverado3500HD - Sierra1500 - Sierra1500HD - Sierra2500 - Sierra2500HD - Sierra3500 - Yukon - YukonXL2500 - Sierra3500HD with trims including . Engine types may include 6.0 V8 GAS FI - 8.1 V8 GAS FI. This part fits vehicles made in the following years 2011 - 2010 - 2009 - 2008 - 2007 - 2006 - 2005 2004 2003.. Description : .This top quality Standard Oxygen Sensor generally fits Isuzu - Buick - Cadillac - Chevrolet - GMC - Saab vehicles and includes models such as Ascender - Rainier - Escalade - Silverado1500 - Silverado2500 - Silverado2500HD - Silverado3500 - Suburban1500 - Tahoe - Avalanche - Silverado3500HD - Cheyenne2500 - Envoy - Sierra1500 - Sierra2500HD - Yukon - YukonXL1500 - Sierra3500HD - 9-7x with trims including . Engine types may include 5.3 V8 GAS FI - 6.2 V8 GAS FI - 4.8 V8 GAS FI - 5.3 V8 FLEX FI - 6.0 V8 GAS FI. This part fits vehicles made in the following years 2011 - 2010 - 2009 - 2008 - 2007 - 2006 - 2005 2004 2003.. 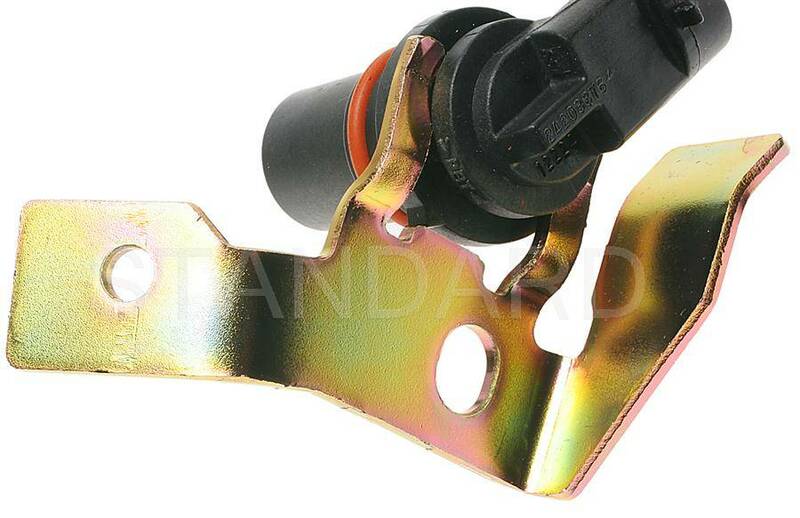 Description : .This top quality Standard Oxygen Sensor generally fits Chevrolet - GMC - Oldsmobile - Pontiac - Saturn vehicles and includes models such as Cavalier - S10 - Sonoma - Alero - GrandAm - Sunfire - LW200 - LS1 - LW1 with trims including . Engine types may include 2.4 L4 GAS FI - 2.2 L4 GAS FI. This part fits vehicles made in the following years 2003 - 2002 2001 2000.. 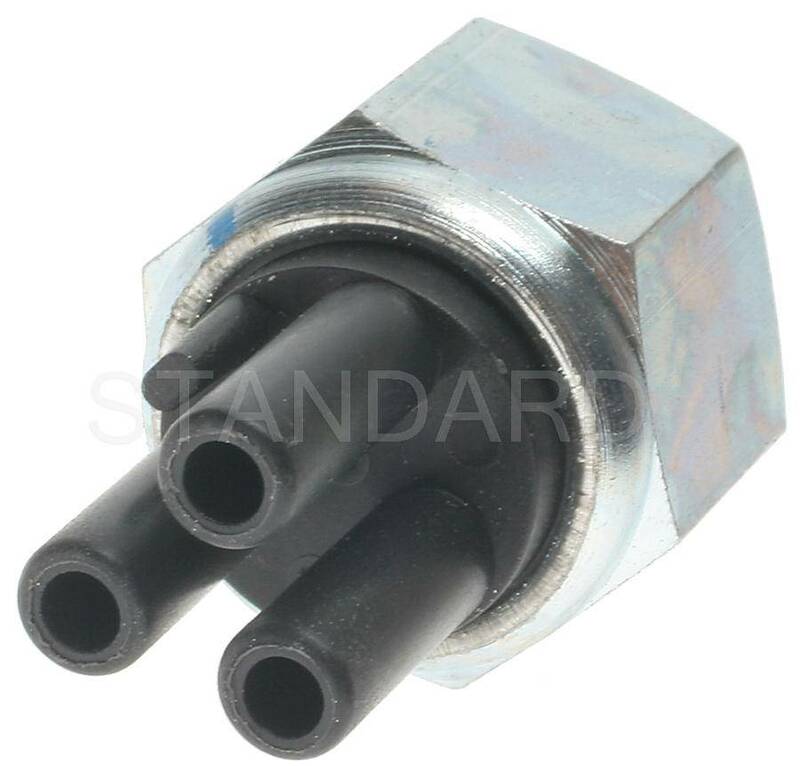 Description : .This top quality Standard Oxygen Sensor generally fits Buick - Cadillac - Chevrolet - GMC - Oldsmobile - Pontiac vehicles and includes models such as Century - Regal - Skylark - Escalade - C1500 - C1500Suburban - C2500 - C2500Suburban - C3500 - Camaro - Express1500 - Express2500 - Express3500 - G30 - Impala - K1500 - K1500Suburban - K2500 - K2500Suburban - K3500 - Malibu - MonteCarlo - P30 - Silverado1500 - Silverado1500HD - Silverado2500 - Silverado2500HD - Silverado3500 - Suburban1500 - Suburban2500 - Tahoe - R15 - R25 - Savana1500 - Savana2500 - G3500 - Savana3500 - P3500 - Sierra1500 - Sierra1500HD - Sierra2500 - Sierra2500HD - Sierra3500 - SierraC3 - Yukon - YukonXL1500 - YukonXL2500 - Achieva - Alero - Firebird - GrandAm - GrandPrix with trims including . Engine types may include 3.1 V6 GAS FI - 3.8 V6 GAS CARB - 5.3 V8 GAS FI - 6.0 V8 GAS FI - 5.7 V8 GAS CARB - 4.3 V6 GAS FI - 5.0 V8 GAS CARB - 7.4 V8 GAS CARB - 3.4 V6 GAS FI - 3.8 V6 GAS FI - 4.8 V8 GAS FI. This part fits vehicles made in the following years 2003 - 2002 - 2001 - 2000 - 1999 - 1998 1997 1996.. Description : .This top quality Standard Oxygen Sensor generally fits Isuzu - Buick - Chevrolet - GMC - Oldsmobile - Pontiac vehicles and includes models such as Hombre - Century - Regal - Rendezvous - Camaro - Impala - MonteCarlo - S10 - Sonoma - CutlassCiera - Firebird - GrandPrix with trims including . Engine types may include 2.2 L4 GAS FI - 3.1 V6 GAS FI - 3.8 V6 GAS CARB - 3.4 V6 GAS FI - 5.7 V8 GAS CARB - 5.7 V8 GAS FI - 3.8 V6 GAS FI. This part fits vehicles made in the following years 2004 - 2003 - 2002 - 2001 - 2000 - 1999 - 1998 1997 1996.. Description : .This top quality Standard Oxygen Sensor generally fits Isuzu - Buick - Cadillac - Chevrolet - GMC - Oldsmobile - Pontiac vehicles and includes models such as Hombre - Rodeo - RodeoSport - Century - Regal - Roadmaster - Skylark - Escalade - Beretta - Blazer - C1500 - C1500Suburban - C2500 - C2500Suburban - C3500 - Camaro - Corsica - Express1500 - G10 - Express2500 - G20 - Express3500 - G30 - K1500 - K1500Suburban - K2500 - K2500Suburban - K3500 - Lumina - LuminaAPV - P30 - S10 - Silverado1500 - Silverado2500 - Suburban1500 - Tahoe - LuminaVan - R15 - R25 - G1500 - Savana1500 - G2500 - Savana2500 - G3500 - Savana3500 - P3500 - Sonoma - Sierra1500 - Sierra2500 - Yukon - YukonXL1500 - Achieva - CutlassCiera - Silhouette - Firebird - GrandAm - TransSport with trims including . Engine types may include 4.3 V6 GAS FI - 3.2 V6 GAS FI - 2.2 L4 GAS FI - 3.1 V6 GAS FI - 3.8 V6 GAS CARB - 5.7 V8 GAS CARB - 5.3 V8 GAS FI - 5.0 V8 GAS CARB - 3.4 V6 GAS FI - 4.8 V8 GAS FI - 3.8 V6 GAS FI. This part fits vehicles made in the following years 2003 - 2002 - 2001 - 2000 - 1999 - 1998 - 1997 - 1996 - 1995 1994 1993.. 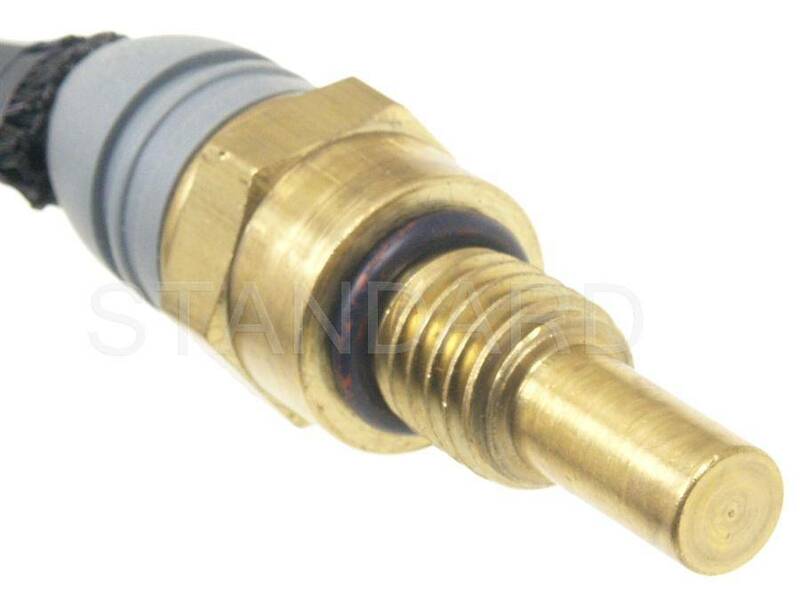 Description : .This top quality Standard Oxygen Sensor generally fits Suzuki - Isuzu - Jeep - Buick - Cadillac - Chevrolet - GMC - Geo - Oldsmobile - Pontiac - AmericanMotors vehicles and includes models such as Swift - Amigo - Hombre - Pickup - Stylus - Cherokee - Comanche - GrandWagoneer - Wrangler - Century - Regal - Roadmaster - Skyhawk - Skylark - Eldorado - Fleetwood - Brougham - Seville - Beretta - Blazer - C1500Suburban - C2500Suburban - Camaro - Caprice - Cavalier - Citation - Corsica - G10 - G20 - G30 - Impala - K1500Suburban - K2500Suburban - Lumina - LuminaAPV - Malibu - MonteCarlo - Monza - P20 - P30 - S10 - Suburban1500 - Tahoe - C3500 - K3500 - R1500Suburban - R2500 - R2500Suburban - R3500 - V1500Suburban - V2500Suburban - V3500 - Caballero - G1500 - G2500 - G3500 - Jimmy - P2500 - P3500 - Sonoma - Yukon - Storm - Achieva - CutlassCiera - CutlassSupreme - Silhouette - Optima - Firebird - GrandAm - GrandPrix - Sunfire - TransSport - Concord - Eagle with trims including . Engine types may include 1.3 L4 GAS CARB - 1.3 L4 GAS FI - 2.3 L4 GAS CARB - 2.2 L4 GAS FI - 2.6 L4 GAS FI - 3.1 V6 GAS FI - 1.6 L4 GAS FI - 2.8 V6 GAS CARB - 5.9 V8 GAS CARB - 4.2 L6 GAS CARB - 5.0 V8 GAS CARB - 5.7 V8 GAS FI - 1.8 L4 GAS CARB - 1.8 L4 GAS FI - 2.0 L4 GAS FI - 2.0 L4 GAS CARB - 2.3 L4 GAS FI - 2.4 L4 GAS FI - 4.1 V6 GAS CARB - 5.7 V8 GAS CARB - 4.1 V8 GAS FI - 7.4 V8 GAS CARB - 3.4 V6 GAS FI - 2.5 L4 GAS CARB - 4.3 V6 GAS FI - 3.8 V6 GAS CARB - 4.8 L6 GAS CARB - 4.4 V8 GAS CARB - 1.6 L4 GAS CARB - 2.5 L4 GAS FI. This part fits vehicles made in the following years 1999 - 1998 - 1997 - 1996 - 1995 - 1994 - 1993 - 1992 - 1991 - 1990 - 1989 - 1988 - 1987 - 1986 - 1985 - 1984 - 1983 - 1982 - 1981 1980 1979.. 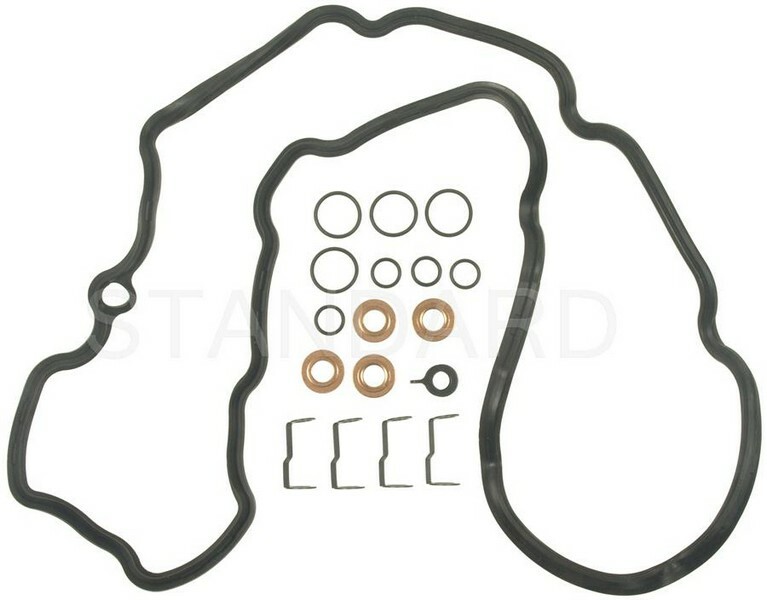 Description : .This top quality Standard Fuel Injection Fuel Rail O-Ring Kit generally fits Buick - Cadillac - Chevrolet - GMC - Geo - Oldsmobile - Pontiac vehicles and includes models such as Century - Electra - EstateWagon - LeSabre - ParkAvenue - Reatta - Regal - Riviera - Roadmaster - Skyhawk - Skylark - Somerset - SomersetRegal - CommercialChassis - Allante - Catera - Cimarron - DeVille - Eldorado - Fleetwood - Brougham - Seville - Sprint - Astro - Beretta - Blazer - K5Blazer - C1500 - C1500Suburban - C2500 - C2500Suburban - C3500 - Camaro - Caprice - Cavalier - Celebrity - Chevette - Citation - CitationII - Corsica - Corvette - ElCamino - Express1500 - G10 - Express2500 - G20 - Express3500 - G30 - Impala - K10 - K1500 - K1500Suburban - K2500 - K2500Suburban - K30 - K3500 - LLV - Lumina - LuminaAPV - Malibu - Metro - MonteCarlo - Nova - P20 - P30 - Prizm - R10 - R10Suburban - R1500Suburban - R20Suburban - R2500 - R2500Suburban - R3500 - S10Blazer - Spectrum - Tahoe - Tracker - V10 - V10Suburban - V1500Suburban - V20 - V20Suburban - V2500Suburban - V3500 - Venture - Caballero - G1500 - Savana1500 - G2500 - Savana2500 - G3500 - Savana3500 - Jimmy - P2500 - P3500 - S15Jimmy - Sonoma - Syclone - Safari - Sierra1500 - Sierra2500 - Yukon - Calais - Achieva - Aurora - Bravada - CutlassCalais - CutlassCiera - CustomCruiser - CutlassSalon - CutlassCruiser - CutlassSupreme - Delta88 - Firenza - Intrigue - LSS - Omega - Regency - Silhouette - Toronado - 6000 - Bonneville - Catalina - Fiero - Firebird - GrandAm - GrandLeMans - GrandPrix - J2000 - J2000Sunbird - Parisienne - Phoenix - Sunfire - TransSport - Acadian - Firefly - Laurentian - Sunrunner - Tempest with trims including . Engine types may include 5.7 V8 GAS CARB - 4.3 V6 DIESEL FI - 2.5 L4 GAS CARB - 3.8 V6 GAS CARB - 2.8 V6 GAS CARB - 3.3 V6 GAS FI - 2.2 L4 GAS FI - 3.1 V6 GAS FI - 3.0 V6 GAS CARB - 5.0 V8 GAS CARB - 5.7 V8 GAS FI - 1.8 L4 GAS FI - 1.8 L4 GAS CARB - 2.0 L4 GAS FI - 2.3 L4 GAS FI - 2.4 L4 GAS FI - 4.1 V8 GAS FI - 4.5 V8 GAS FI - 4.9 V8 GAS FI - 4.6 V8 GAS FI - 3.0 V6 GAS FI - 6.0 V8 GAS CARB - 1.0 L3 GAS CARB - 1.0 L3 GAS FI - 4.3 V6 GAS FI - 6.2 V8 DIESEL FI - 6.5 V8 DIESEL FI - 7.4 V8 GAS CARB - 3.4 V6 GAS FI - 4.3 V8 GAS FI - 1.8 L4 DIESEL FI - 1.3 L4 GAS FI - 1.6 L4 GAS FI - 1.6 L4 GAS CARB - 3.9 L4 DIESEL FI - 1.5 L4 GAS FI - 4.8 V8 GAS FI - 5.3 V8 GAS FI - 6.0 V8 GAS FI - 4.0 V8 GAS FI - 3.8 V6 GAS FI - 2.0 L4 GAS CARB - 2.2 L4 GAS CARB. This part fits vehicles made in the following years 1999 - 1998 - 1997 - 1996 - 1995 - 1994 - 1993 - 1992 - 1991 - 1990 - 1989 - 1988 - 1987 - 1986 - 1985 - 1984 - 1983 1982 1981.. 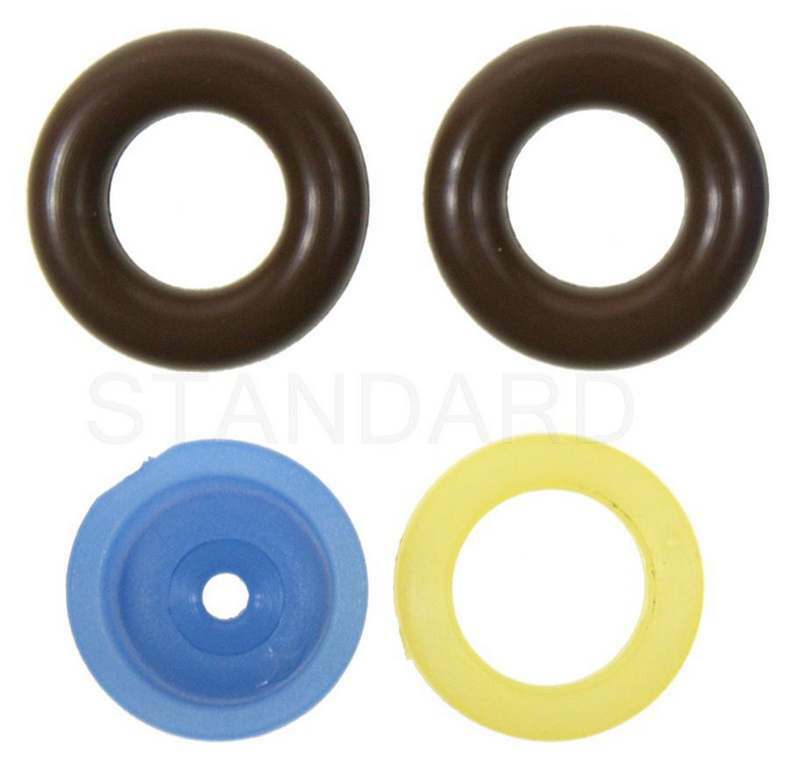 Description : .This top quality Standard Fuel Injector Seal Kit generally fits Chevrolet - GMC vehicles and includes models such as Silverado2500HD - Silverado3500 - Sierra2500HD - Sierra3500 with trims including . Engine types may include 6.6 V8 DIESEL FI. This part fits vehicles made in the following years 2004 - 2003 2002 2001.. 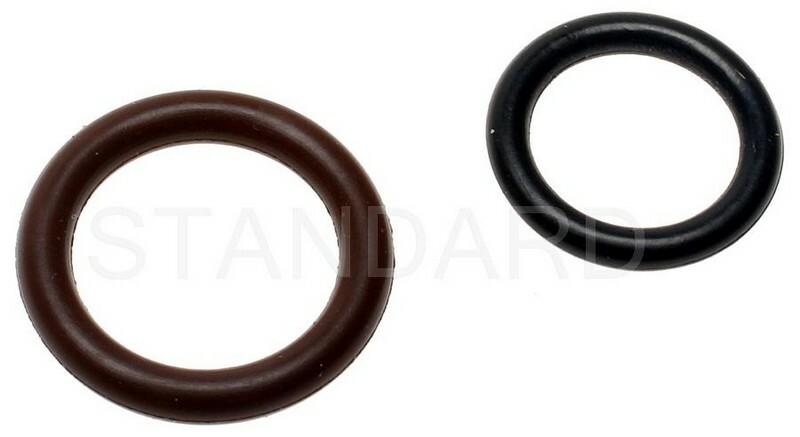 Description : .This top quality Standard Fuel Injector Seal Kit generally fits Isuzu - Chevrolet - GMC - Oldsmobile vehicles and includes models such as Hombre - NPR - Astro - Blazer - C1500 - C1500Suburban - C2500 - C2500Suburban - C3500 - Express1500 - Express2500 - Express3500 - K1500 - K1500Suburban - K2500 - K2500Suburban - K3500 - P30 - S10 - Silverado1500 - Suburban1500 - Tahoe - Savana1500 - Savana2500 - Savana3500 - Jimmy - P3500 - Sonoma - Safari - Sierra1500 - Yukon - Bravada with trims including . Engine types may include 4.3 V6 GAS FI - 5.7 V8 GAS CARB - 5.0 V8 GAS CARB. This part fits vehicles made in the following years 2012 - 2011 - 2010 - 2009 - 2008 - 2007 - 2006 - 2005 - 2004 - 2003 - 2002 - 2001 - 2000 - 1999 - 1998 1997 1996.. 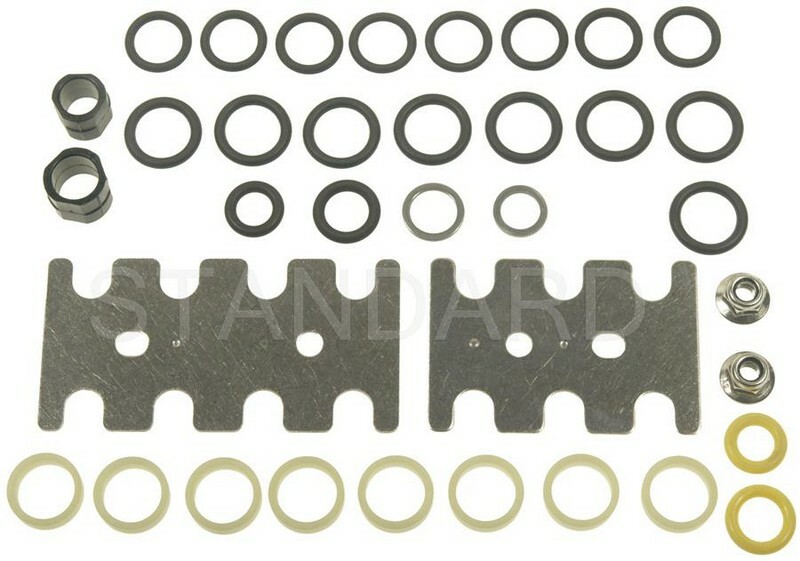 Description : .This top quality Standard Fuel Injector Seal Kit generally fits Isuzu - Buick - Cadillac - Chevrolet - GMC - Oldsmobile - Saab - Hummer vehicles and includes models such as Ascender - NPR - Rainier - Escalade - Avalanche1500 - Express1500 - Express2500 - Express3500 - Trailblazer - Silverado1500 - Silverado1500HD - Silverado2500 - Silverado2500HD - Silverado3500 - Suburban1500 - Suburban2500 - Tahoe - Aveo - SSR - Colorado - C4500Kodiak - C5500Kodiak - C6500Kodiak - C7500Kodiak - Silverado3500HD - Aveo5 - Envoy - Savana1500 - Savana2500 - Savana3500 - Sierra1500 - Sierra1500HD - Sierra2500 - Sierra2500HD - Sierra3500 - SierraC3 - Yukon - YukonXL1500 - YukonXL2500 - Canyon - C4500Topkick - C5500Topkick - C6500Topkick - C7500Topkick - Sierra3500HD - Bravada - 9-7x with trims including . Engine types may include 5.3 V8 GAS FI - 4.2 L6 GAS FI - 6.0 V8 GAS FI - 4.8 V8 GAS FI - 8.1 V8 GAS FI - 5.3 V8 FLEX FI - 1.6 L4 GAS FI - 6.2 V8 GAS FI. This part fits vehicles made in the following years 2011 - 2010 - 2009 - 2008 - 2007 - 2006 - 2005 - 2004 - 2003 - 2002 - 2001 2000 1999.. 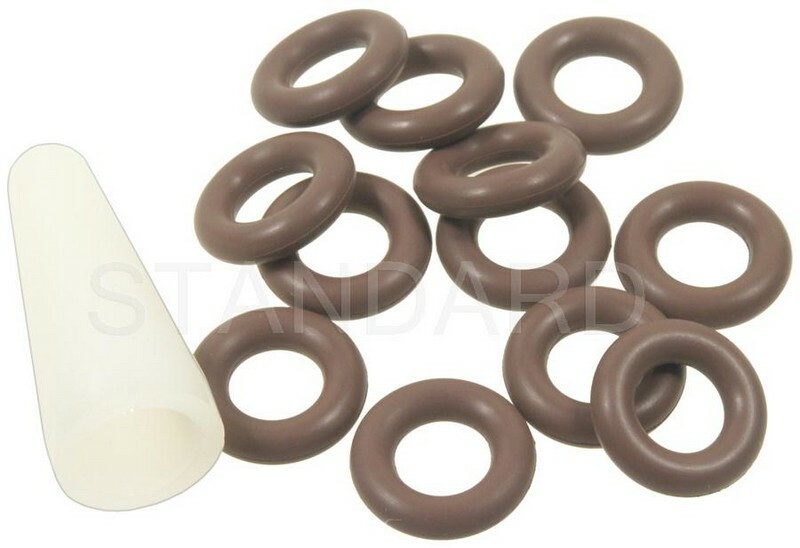 Description : .This top quality Standard Fuel Injector Seal Kit generally fits Buick - Cadillac - Chevrolet - GMC - Geo - Oldsmobile - Pontiac vehicles and includes models such as Century - Electra - LeSabre - Reatta - Regal - Riviera - Roadmaster - Skyhawk - Skylark - CommercialChassis - Allante - Cimarron - DeVille - Eldorado - Fleetwood - Seville - Beretta - Camaro - Caprice - Cavalier - Celebrity - CitationII - Corsica - Corvette - Impala - Lumina - Malibu - MonteCarlo - S10 - Venture - Sonoma - Syclone - Storm - Calais - Achieva - Alero - CutlassCalais - CutlassCiera - CutlassCruiser - CutlassSupreme - Delta88 - Firenza - Regency - Silhouette - Toronado - 6000 - Fiero - Firebird - GrandAm - GrandPrix - J2000Sunbird - Montana - Sunfire - TransSport with trims including . Engine types may include 3.8 V6 GAS CARB - 2.8 V6 GAS CARB - 3.3 V6 GAS FI - 3.1 V6 GAS FI - 3.0 V6 GAS CARB - 5.7 V8 GAS CARB - 1.8 L4 GAS FI - 2.3 L4 GAS FI - 2.4 L4 GAS FI - 4.5 V8 GAS FI - 4.9 V8 GAS FI - 4.1 V8 GAS FI - 5.0 V8 GAS CARB - 3.4 V6 GAS FI - 4.3 V8 GAS FI - 2.2 L4 GAS FI - 5.7 V8 GAS FI - 4.3 V6 GAS FI - 1.6 L4 GAS FI - 3.8 V6 GAS FI - 2.0 L4 GAS FI. This part fits vehicles made in the following years 2000 - 1999 - 1998 - 1997 - 1996 - 1995 - 1994 - 1993 - 1992 - 1991 - 1990 - 1989 - 1988 - 1987 - 1986 1985 1984.. 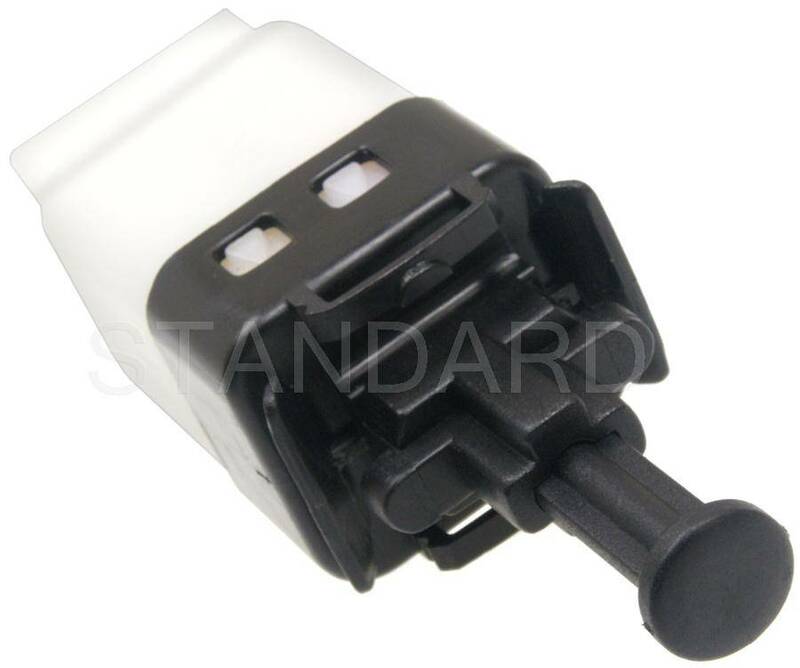 Description : .This top quality Standard Cruise Control Release Switch generally fits Buick - Cadillac - Chevrolet - GMC - Oldsmobile - Pontiac vehicles and includes models such as LeSabre - Riviera - Skyhawk - Skylark - Somerset - Fleetwood - Brougham - Seville - Blazer - K5Blazer - C10Suburban - C20Suburban - Camaro - Caprice - Corvette - ElCamino - K10Suburban - K20Suburban - MonteCarlo - R10Suburban - R20 - R20Suburban - R30 - S10 - V10 - V10Suburban - V20 - V20Suburban - V30 - C1500Suburban - C2500Suburban - K1500Suburban - K2500Suburban - R1500Suburban - R2500Suburban - V1500Suburban - V2500Suburban - Jimmy - CutlassCalais - CutlassCiera - CutlassSalon - CutlassSupreme - Delta88 - Safari - Firebird - J2000Sunbird - TransSport with trims including . Engine types may include 5.7 V8 GAS CARB - 3.8 V6 GAS CARB - 4.1 V6 GAS CARB - 5.0 V8 GAS CARB - 4.4 V8 GAS CARB - 1.8 L4 GAS FI - 1.8 L4 GAS CARB - 2.0 L4 GAS FI - 2.0 L4 GAS CARB - 3.0 V6 GAS CARB - 2.5 L4 GAS CARB - 2.3 L4 GAS FI - 3.3 V6 GAS FI - 4.1 V8 GAS FI - 6.0 V8 GAS CARB - 4.3 V6 DIESEL FI - 5.7 V8 GAS FI - 4.5 V8 GAS FI - 6.2 V8 DIESEL FI - 4.1 L6 GAS CARB - 7.4 V8 GAS CARB - 4.8 L6 GAS CARB - 2.8 V6 GAS CARB - 4.3 V6 GAS FI - 1.9 L4 GAS CARB - 4.3 V8 GAS CARB - 3.1 V6 GAS FI. This part fits vehicles made in the following years 1992 - 1991 - 1990 - 1989 - 1988 - 1987 - 1986 - 1985 - 1984 - 1983 1982 1981.. Description : .This top quality Standard Brake Light Switch generally fits Isuzu - Buick - Cadillac - Chevrolet - GMC - Hummer vehicles and includes models such as Ascender - Rainier - Escalade - Trailblazer - Silverado3500 - Savana2500 - Savana3500 with trims including . Engine types may include 5.3 V8 GAS FI - 4.2 L6 GAS FI - 5.7 V8 GAS CARB - 6.0 V8 GAS FI - 6.6 V8 DIESEL FI - 8.1 V8 GAS FI - 4.8 V8 GAS FI. This part fits vehicles made in the following years 2008 - 2007 - 2006 - 2005 - 2004 - 2003 - 2002 2001 1999.. 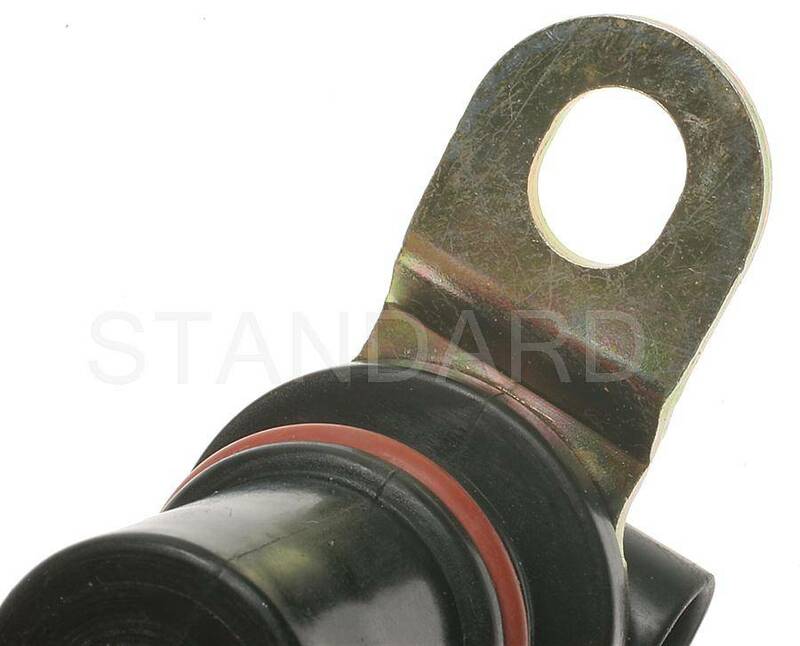 Description : .This top quality Standard Brake Light Switch generally fits Buick - Cadillac - Chevrolet - Pontiac vehicles and includes models such as Regal - Lucerne - Verano - SRX - DTS - ATS - Camaro - Cruze with trims including . Engine types may include 2.4 L4 GAS FI - 2.0 L4 GAS FI - 4.6 V8 GAS FI - 3.8 V6 GAS CARB - 3.9 V6 GAS FI - 3.0 V6 GAS FI - 2.8 V6 GAS FI - 2.5 L4 GAS FI - 3.6 V6 GAS FI - 6.2 V8 GAS FI - 1.8 L4 GAS FI - 1.4 L4 GAS FI - 2.2 L4 GAS FI - 6.0 V8 GAS FI. This part fits vehicles made in the following years 2013 - 2012 - 2011 - 2010 - 2009 - 2008 2007 2006.. 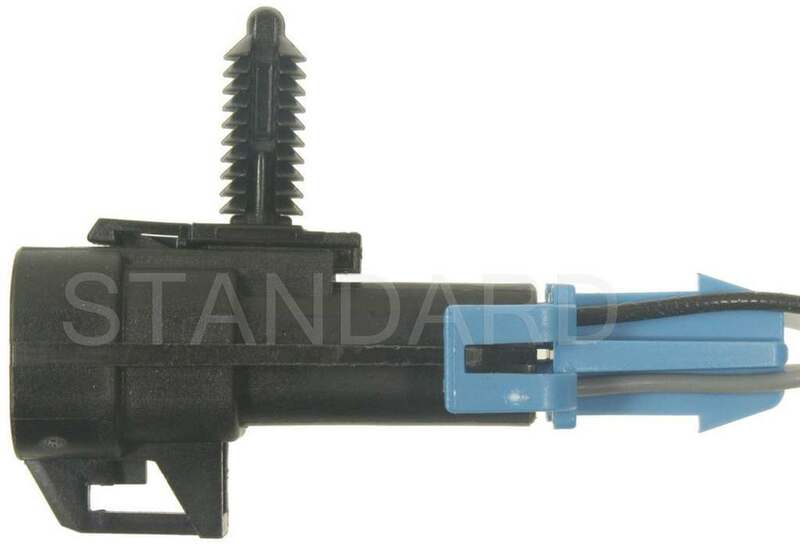 Description : .This top quality Standard Brake Light Switch generally fits Chevrolet - Pontiac vehicles and includes models such as Aveo - Aveo5 with trims including . Engine types may include 1.6 L4 GAS FI. This part fits vehicles made in the following years 2009 - 2007 - 2006 2005 2004.. Description : .This top quality Standard Brake Light Switch generally fits Chevrolet - GMC - Hummer vehicles and includes models such as Express1500 - Express2500 - Express3500 - Trailblazer - Express4500 - Savana1500 - Savana2500 - Savana3500 - Savana4500 with trims including . Engine types may include 5.3 V8 FLEX FI - 4.3 V6 GAS FI - 4.8 V8 GAS FI - 6.0 V8 GAS FI - 6.6 V8 DIESEL FI - 4.2 L6 GAS FI - 6.2 V8 GAS FI. This part fits vehicles made in the following years 2011 - 2010 - 2009 2008 2007.. 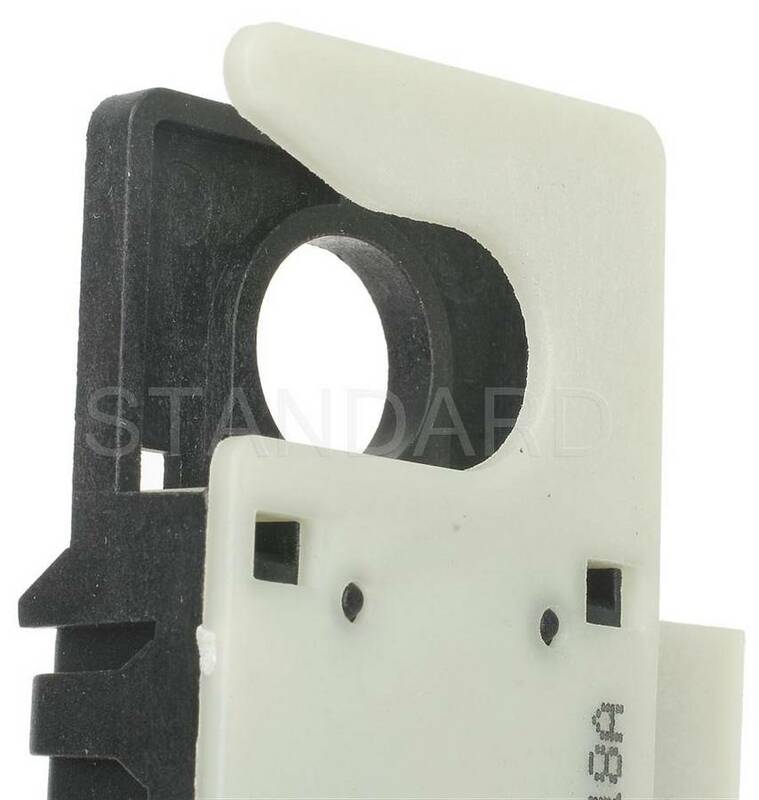 Description : .This top quality Standard Brake Light Switch generally fits Chrysler - Dodge - Plymouth - Buick - Cadillac - Chevrolet - GMC - Oldsmobile - Pontiac - Ford vehicles and includes models such as Cordoba - LeBaron - NewYorker - Newport - TownCountry - Aspen - RoyalMonaco - St.Regis - Belvedere - EstateWagon - DeVille - Eldorado - Series60Fleetwood - Series75Fleetwood - Series62 - C20Suburban - Caprice - ElCamino - Corvair - C25Suburban - Starfire - Safari - GrandLeMans - Parisienne - P-350 - P-400 - P-500 - F7000 - L800 - LN8000 - B600 - B700 with trims including . Engine types may include 5.2 V8 GAS CARB - 5.9 V8 GAS CARB - 3.7 L6 GAS CARB - 7.2 V8 GAS CARB - 6.6 V8 GAS CARB - 6.3 V8 GAS CARB - 7.0 V8 GAS CARB - 7.5 V8 GAS CARB - 5.7 V8 GAS CARB - 6.0 V8 GAS CARB - 3.8 L6 GAS CARB - 4.6 V8 GAS CARB - 4.3 L6 GAS CARB - 6.7 V8 GAS CARB - 5.3 V8 GAS CARB - 6.5 V8 GAS CARB - 4.1 L6 GAS FI - 3.2 L6 GAS CARB - 2.7 H6 GAS CARB - 7.4 V8 GAS CARB - 4.8 L6 GAS CARB - 5.0 V8 GAS CARB - 6.4 V8 GAS CARB - 3.8 V6 GAS CARB - 4.4 V8 GAS CARB - 4.1 V6 GAS CARB - 4.3 V8 GAS CARB - 4.9 L6 GAS CARB - 10.4 V8 DIESEL FI - 6.1 V8 GAS CARB - 7.8 L6 DIESEL FI - 8.2 V8 DIESEL FI - 6.6 L6 DIESEL FI. This part fits vehicles made in the following years 1989 - 1988 - 1987 - 1986 - 1985 - 1984 - 1983 - 1982 - 1981 - 1980 - 1979 - 1978 - 1977 - 1976 - 1975 - 1974 - 1973 - 1972 - 1971 - 1970 - 1969 - 1966 - 1965 - 1963 - 1962 - 1961 1960 1956.. 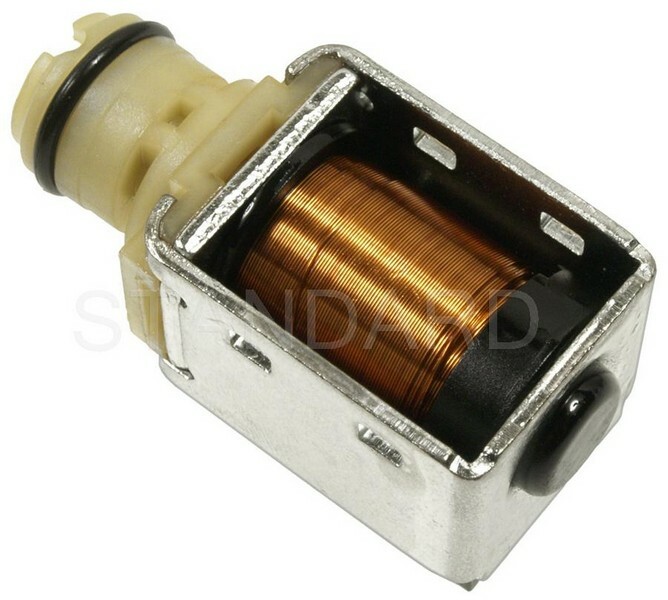 Description : .This top quality Standard Starter Solenoid generally fits Checker - Jeep - Buick - Cadillac - Chevrolet - GMC - Oldsmobile - Pontiac - AmericanMotors - International vehicles and includes models such as Marathon - Deluxe - Taxicab - CJ5 - CJ6 - CJ7 - Scrambler - Wagoneer - CJ3 - Commando - Dispatcher - DJ3 - DJ5 - DJ6 - FC150 - FC170 - Gladiator - J-100 - J-2500 - J-2600 - J-2700 - J-2800 - J-3500 - J-3600 - J-3700 - J-3800 - Jeepster - Truck - J-4500 - J-4600 - J-4700 - J-4800 - F-134 - Universal - UniversalTruck - Apollo - Century - Electra - EstateWagon - LeSabre - Regal - Riviera - Skyhawk - Skylark - Centurion - GS455 - Invicta - Wildcat - Special - Sportwagon - GranSport - CommercialChassis - Calais - DeVille - Eldorado - Fleetwood - Seville - Series60Fleetwood - Series70FleetwoodEldorado - Series75Fleetwood - Series62 - BelAir - Blazer - K5Blazer - C10 - C10Suburban - C1500 - C20 - C20Suburban - C2500 - C2500Suburban - C30 - C3500 - Camaro - Celebrity - Chevette - G10 - G20 - G30 - Impala - K10 - K10Suburban - K1500 - K20 - K20Suburban - K2500 - K2500Suburban - K30 - K3500 - Laguna - P20 - P30 - R1500Suburban - R20Suburban - R2500Suburban - R3500 - V10Suburban - V1500Suburban - V20Suburban - V2500Suburban - V3500 - Vega - Brookwood - C10Pickup - C20Pickup - C30Pickup - Corvair - DelRay - G10Van - K10Pickup - K20Pickup - K30Pickup - Kingswood - One-FiftySeries - P10Series - P20Series - P30Series - P30Van - Townsman - Two-TenSeries - C60 - C10Panel - C30Panel - C20Panel - K20Panel - B60 - C40 - Nomad - Parkwood - SedanDelivery - Yeoman - Chevelle - G20Van - P10Van - C1500Suburban - K1500Suburban - C15Suburban - C25Suburban - Caballero - G15 - G1500 - G25 - G2500 - G35 - G3500 - Jimmy - K15Suburban - K25Suburban - P15 - P1500 - P25 - P2500 - P35 - P3500 - S15 - Sprint - 1000Series - 1500Series - 2500Series - C15/C1500Pickup - C15/C1500Suburban - C25/C2500Pickup - C25/C2500Suburban - C35/C3500Pickup - G1000Series - G15/G1500Van - G25/G2500Van - K15/K1500Pickup - K15/K1500Suburban - K25/K2500Pickup - K25/K2500Suburban - K35/K3500Pickup - P15/P1500Van - P25/P2500Van - P35/P3500Van - PB1000Series - PB15Series - PB25Series - PB2500Series - PB1500Series - 3000 - I1000 - I1500 - I2500 - I3500 - LI3500 - P1000 - G35/G3500Van - CutlassCalais - CustomCruiser - CutlassSalon - CutlassCruiser - CutlassSupreme - Delta88 - Starfire - Toronado - VistaCruiser - Fiesta - Delmont88 - Dynamic - F85 - Jetfire - Jetstar88 - Super88 - JetstarI - Classic98 - GoldenRocket88 - 442 - Astre - Catalina - Safari - Firebird - GrandLeMans - GrandPrix - GrandSafari - Grandville - Parisienne - T1000 - Ventura - GTO - Acadian - Laurentian - Executive - Tempest - Beaumont - Strato-Chief - Spirit - Concord - Eagle - Ambassador - Marlin - SuperSix - Rambler - Javelin - Rebel - American - Rogue - 200 - ScoutII - Travelall - 1000B - 1000C - 1000D - 1010 - 1100B - 1100C - 1110 - 1200B - 1200D - 1210 - 1300B - 1300C - 1300D - 1310 - 908B - 908C - DM10 - MSeriesVan - M1100 - M1200 - M1400 - M800 - M800Navy - M800PostOffice - MA1200 - MHC1310 - MS1210 - D300 - S100 - S102 - S110 - S112 - S120 - S122 - S130 - S132 - SA120 - SA122 - SM120 - SM122 - SM130 - SM132 - A102 - A110 - A112 - A130 - A132 - AB120 - AM120 - AM130 - AM132 - B102 - B110 - B112 - B122 - B130 - B132 - C1000 - C1100 - C1200 - C1300 - C900 - D1000 - D1100 - D1200 - D900 - 1000A - 1100A - 1200A - 1300A - 900A - AB1200 - AB140 - AB1400 - AM150 - CM110 - CM75 - CM80 - D1300 - M700 - 1100D - 1200C - A100Truck - S1723 - S1724 - S1823 - S1824 - S1924 - S1925 - G1904 - S2125 - S2524 - G2105 with trims including . Engine types may include 5.3 V8 GAS CARB - 3.8 L6 GAS CARB - 5.0 V8 GAS CARB - 5.4 V8 GAS CARB - 4.1 L6 GAS CARB - 4.1 L6 GAS FI - 5.7 V8 GAS CARB - 5.7 V8 GAS FI - 3.8 V6 GAS CARB - 4.4 V8 GAS CARB - 2.2 L4 GAS CARB - 3.7 V6 GAS CARB - 4.2 L6 GAS CARB - 2.5 L4 GAS CARB - 3.2 L4 DIESEL FI - 3.7 L6 GAS CARB - 5.9 V8 GAS CARB - 4.3 V8 GAS CARB - 7.5 V8 GAS CARB - 6.6 V8 GAS CARB - 3.2 V6 GAS CARB - 4.9 V8 GAS CARB - 6.0 V8 GAS CARB - 7.0 V8 GAS CARB - 5.6 V8 GAS CARB - 4.1 V6 GAS CARB - 3.5 V8 GAS CARB - 2.8 V6 GAS CARB - 6.4 V8 GAS CARB - 7.7 V8 GAS CARB - 8.2 V8 GAS CARB - 4.8 L6 GAS CARB - 6.2 V8 DIESEL FI - 6.7 V8 GAS CARB - 4.6 V8 GAS CARB - 6.5 V8 GAS CARB - 7.4 V8 GAS CARB - 1.6 L4 GAS CARB - 4.3 V6 GAS FI - 2.3 L4 GAS CARB - 2.0 L4 GAS FI - 2.3 H6 GAS CARB - 2.4 H6 GAS CARB - 2.7 H6 GAS CARB - 3.2 L6 GAS CARB - 2.2 L4 GAS FI - 5.0 V6 GAS CARB - 5.7 V6 GAS CARB - 6.1 V8 GAS CARB - 5.2 V8 GAS CARB - 3.3 V6 GAS CARB - 3.5 L6 GAS CARB - 4.3 L6 GAS CARB - 3.2 L4 GAS CARB - 3.3 L6 GAS CARB - 4.7 V8 GAS CARB - 4.1 V8 GAS CARB - 3.2 L6 DIESEL FI - 3.9 L6 GAS CARB - 4.0 L6 GAS CARB - 3.6 L6 GAS CARB - 2.5 V8 GAS CARB - 1.5 L4 GAS CARB - 7.3 V8 GAS CARB - 8.8 V8 GAS CARB. This part fits vehicles made in the following years 1995 - 1994 - 1993 - 1992 - 1991 - 1990 - 1989 - 1988 - 1987 - 1986 - 1985 - 1984 - 1983 - 1982 - 1981 - 1980 - 1979 - 1978 - 1977 - 1976 - 1975 - 1974 - 1973 - 1972 - 1971 - 1970 - 1969 - 1968 - 1967 - 1966 - 1965 - 1964 - 1963 - 1962 - 1961 - 1960 - 1959 - 1958 1957 1956.. 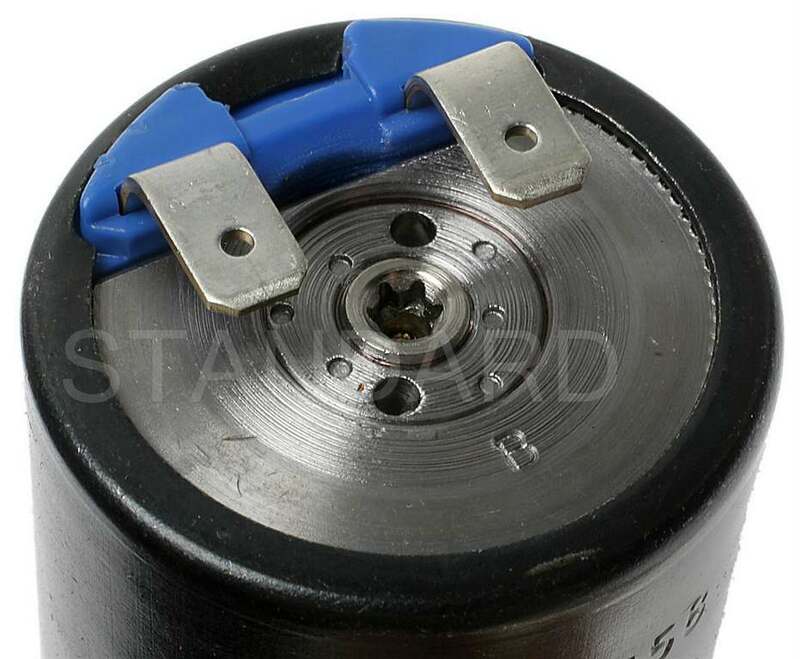 Description : .This top quality Standard Starter Solenoid generally fits Checker - Jeep - Buick - Cadillac - Chevrolet - GMC - Oldsmobile - Pontiac - AmericanMotors - International vehicles and includes models such as Marathon - Deluxe - Taxicab - CJ5 - CJ6 - CJ7 - Scrambler - Wagoneer - CJ3 - Commando - Dispatcher - DJ3 - DJ5 - DJ6 - FC150 - FC170 - Gladiator - J-100 - J-2500 - J-2600 - J-2700 - J-2800 - J-3500 - J-3600 - J-3700 - J-3800 - Jeepster - Truck - J-4500 - J-4600 - J-4700 - J-4800 - F-134 - Universal - UniversalTruck - Apollo - Century - Electra - EstateWagon - LeSabre - Regal - Riviera - Skyhawk - Skylark - Centurion - GS455 - Invicta - Wildcat - Special - Sportwagon - GranSport - CommercialChassis - Calais - DeVille - Eldorado - Fleetwood - Seville - Series60Fleetwood - Series70FleetwoodEldorado - Series75Fleetwood - Series62 - BelAir - Blazer - K5Blazer - C10 - C10Suburban - C1500 - C20 - C20Suburban - C2500 - C2500Suburban - C30 - C3500 - Camaro - Celebrity - Chevette - G10 - G20 - G30 - Impala - K10 - K10Suburban - K1500 - K20 - K20Suburban - K2500 - K2500Suburban - K30 - K3500 - Laguna - P20 - P30 - R1500Suburban - R20Suburban - R2500Suburban - R3500 - V10Suburban - V1500Suburban - V20Suburban - V2500Suburban - V3500 - Vega - Brookwood - C10Pickup - C20Pickup - C30Pickup - Corvair - DelRay - G10Van - K10Pickup - K20Pickup - K30Pickup - Kingswood - One-FiftySeries - P10Series - P20Series - P30Series - P30Van - Townsman - Two-TenSeries - C60 - C10Panel - C30Panel - C20Panel - K20Panel - B60 - C40 - Nomad - Parkwood - SedanDelivery - Yeoman - Chevelle - G20Van - P10Van - C1500Suburban - K1500Suburban - C15Suburban - C25Suburban - Caballero - G15 - G1500 - G25 - G2500 - G35 - G3500 - Jimmy - K15Suburban - K25Suburban - P15 - P1500 - P25 - P2500 - P35 - P3500 - S15 - Sprint - 1000Series - 1500Series - 2500Series - C15/C1500Pickup - C15/C1500Suburban - C25/C2500Pickup - C25/C2500Suburban - C35/C3500Pickup - G1000Series - G15/G1500Van - G25/G2500Van - K15/K1500Pickup - K15/K1500Suburban - K25/K2500Pickup - K25/K2500Suburban - K35/K3500Pickup - P15/P1500Van - P25/P2500Van - P35/P3500Van - PB1000Series - PB15Series - PB25Series - PB2500Series - PB1500Series - 3000 - I1000 - I1500 - I2500 - I3500 - LI3500 - P1000 - G35/G3500Van - CutlassCalais - CustomCruiser - CutlassSalon - CutlassCruiser - CutlassSupreme - Delta88 - Starfire - Toronado - VistaCruiser - Fiesta - Delmont88 - Dynamic - F85 - Jetfire - Jetstar88 - Super88 - JetstarI - Classic98 - GoldenRocket88 - 442 - Astre - Catalina - Safari - Firebird - GrandLeMans - GrandPrix - GrandSafari - Grandville - Parisienne - T1000 - Ventura - GTO - Acadian - Laurentian - Executive - Tempest - Beaumont - Strato-Chief - Spirit - Concord - Eagle - Ambassador - Marlin - SuperSix - Rambler - Javelin - Rebel - American - Rogue - 200 - ScoutII - Travelall - 1000B - 1000C - 1000D - 1010 - 1100B - 1100C - 1110 - 1200B - 1200D - 1210 - 1300B - 1300C - 1300D - 1310 - 908B - 908C - DM10 - MSeriesVan - M1100 - M1200 - M1400 - M800 - M800Navy - M800PostOffice - MA1200 - MHC1310 - MS1210 - D300 - S100 - S102 - S110 - S112 - S120 - S122 - S130 - S132 - SA120 - SA122 - SM120 - SM122 - SM130 - SM132 - A102 - A110 - A112 - A130 - A132 - AB120 - AM120 - AM130 - AM132 - B102 - B110 - B112 - B122 - B130 - B132 - C1000 - C1100 - C1200 - C1300 - C900 - D1000 - D1100 - D1200 - D900 - 1000A - 1100A - 1200A - 1300A - 900A - AB1200 - AB140 - AB1400 - AM150 - CM110 - CM75 - CM80 - D1300 - M700 - 1100D - 1200C - A100Truck - S1723 - S1724 - S1823 - S1824 - S1924 - S1925 - G1904 - S2125 - S2524 - G2105 with trims including . Engine types may include 5.0 V8 GAS CARB - 3.8 L6 GAS CARB - 5.4 V8 GAS CARB - 5.3 V8 GAS CARB - 4.1 L6 GAS FI - 4.1 L6 GAS CARB - 5.7 V8 GAS CARB - 4.4 V8 GAS CARB - 3.8 V6 GAS CARB - 5.7 V8 GAS FI - 3.7 V6 GAS CARB - 2.2 L4 GAS CARB - 4.2 L6 GAS CARB - 2.5 L4 GAS CARB - 3.2 L4 DIESEL FI - 3.7 L6 GAS CARB - 5.9 V8 GAS CARB - 4.3 V8 GAS CARB - 7.5 V8 GAS CARB - 6.6 V8 GAS CARB - 3.2 V6 GAS CARB - 4.9 V8 GAS CARB - 6.0 V8 GAS CARB - 7.0 V8 GAS CARB - 5.6 V8 GAS CARB - 4.1 V6 GAS CARB - 3.5 V8 GAS CARB - 2.8 V6 GAS CARB - 6.4 V8 GAS CARB - 7.7 V8 GAS CARB - 8.2 V8 GAS CARB - 4.8 L6 GAS CARB - 6.2 V8 DIESEL FI - 6.7 V8 GAS CARB - 4.6 V8 GAS CARB - 6.5 V8 GAS CARB - 7.4 V8 GAS CARB - 1.6 L4 GAS CARB - 4.3 V6 GAS FI - 2.3 L4 GAS CARB - 2.0 L4 GAS FI - 2.3 H6 GAS CARB - 2.4 H6 GAS CARB - 2.7 H6 GAS CARB - 3.2 L6 GAS CARB - 2.2 L4 GAS FI - 5.0 V6 GAS CARB - 5.7 V6 GAS CARB - 6.1 V8 GAS CARB - 5.2 V8 GAS CARB - 3.3 V6 GAS CARB - 3.5 L6 GAS CARB - 4.3 L6 GAS CARB - 3.2 L4 GAS CARB - 3.3 L6 GAS CARB - 4.7 V8 GAS CARB - 4.1 V8 GAS CARB - 3.2 L6 DIESEL FI - 3.9 L6 GAS CARB - 4.0 L6 GAS CARB - 3.6 L6 GAS CARB - 2.5 V8 GAS CARB - 1.5 L4 GAS CARB - 7.3 V8 GAS CARB - 8.8 V8 GAS CARB. This part fits vehicles made in the following years 1995 - 1994 - 1993 - 1992 - 1991 - 1990 - 1989 - 1988 - 1987 - 1986 - 1985 - 1984 - 1983 - 1982 - 1981 - 1980 - 1979 - 1978 - 1977 - 1976 - 1975 - 1974 - 1973 - 1972 - 1971 - 1970 - 1969 - 1968 - 1967 - 1966 - 1965 - 1964 - 1963 - 1962 - 1961 - 1960 - 1959 - 1958 1957 1956.. 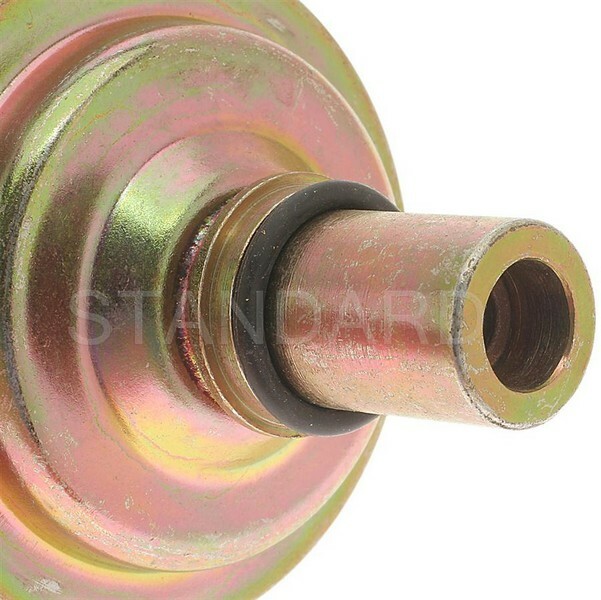 Description : .This top quality Standard Starter Solenoid generally fits Isuzu - Jeep - Buick - Cadillac - Chevrolet - GMC - Oldsmobile - Pontiac - Ford - AmericanMotors - International vehicles and includes models such as Hombre - Pickup - Rodeo - Trooper - CJ5 - CJ7 - Cherokee - Scrambler - Wagoneer - Century - Electra - EstateWagon - LeSabre - ParkAvenue - Reatta - Regal - Riviera - Roadmaster - CommercialChassis - Skyhawk - Skylark - Somerset - SomersetRegal - Allante - Cimarron - DeVille - Eldorado - Fleetwood - Brougham - Seville - Astro - Beretta - Blazer - K5Blazer - C10 - C10Suburban - C1500 - C1500Suburban - C20 - C20Suburban - C2500 - C2500Suburban - C30 - C3500 - Camaro - Caprice - Cavalier - Celebrity - Chevette - Corsica - Corvette - G10 - G20 - G30 - K10 - K10Suburban - K1500 - K1500Suburban - K20 - K20Suburban - K2500 - K2500Suburban - K30 - K3500 - Lumina - LuminaAPV - P20 - P30 - R10Suburban - R1500Suburban - R20Suburban - R2500Suburban - R3500 - S10Blazer - Suburban1500 - V10Suburban - V1500Suburban - V20Suburban - V2500Suburban - V3500 - B60 - Caballero - G1500 - G2500 - G3500 - Jimmy - P2500 - P3500 - S15Jimmy - Sonoma - Safari - Yukon - Achieva - CutlassCalais - CutlassCiera - CustomCruiser - CutlassSalon - CutlassCruiser - CutlassSupreme - Silhouette - Optima - 6000 - Firebird - GrandAm - GrandLeMans - GrandPrix - J2000 - Parisienne - Sunbird - Sunfire - T1000 - TransSport - Acadian - Tempest - E-150Econoline - E-250EconolineClubWagon - E-350Econoline - E-350EconolineClubWagon - F-150 - F-250 - F-350 - Spirit - Concord - Eagle - S1723 - S1724 - S1824 - G1904 - G2105 with trims including . Engine types may include 2.2 L4 GAS FI - 3.1 V6 GAS FI - 2.8 V6 GAS FI - 2.5 L4 GAS CARB - 2.8 V6 GAS CARB - 4.3 V6 DIESEL FI - 3.0 V6 GAS CARB - 3.8 V6 GAS CARB - 3.3 V6 GAS FI - 5.7 V8 GAS CARB - 4.1 V6 GAS CARB - 5.0 V8 GAS CARB - 4.4 V8 GAS CARB - 5.7 V8 GAS FI - 1.8 L4 GAS FI - 1.8 L4 GAS CARB - 2.0 L4 GAS CARB - 2.0 L4 GAS FI - 2.3 L4 GAS FI - 4.1 V8 GAS FI - 4.5 V8 GAS FI - 4.9 V8 GAS FI - 4.3 V6 GAS FI - 6.2 V8 DIESEL FI - 4.1 L6 GAS CARB - 7.4 V8 GAS CARB - 4.8 L6 GAS CARB - 2.4 L4 GAS FI - 1.6 L4 GAS CARB - 6.0 V8 GAS CARB - 7.0 V8 GAS CARB - 4.3 V8 GAS CARB - 2.2 L4 GAS CARB - 6.9 V8 DIESEL FI - 6.4 V8 GAS CARB. This part fits vehicles made in the following years 1999 - 1998 - 1997 - 1996 - 1995 - 1994 - 1993 - 1992 - 1991 - 1990 - 1989 - 1988 - 1987 - 1986 - 1985 - 1984 - 1983 - 1982 - 1981 - 1980 1979 1978.. 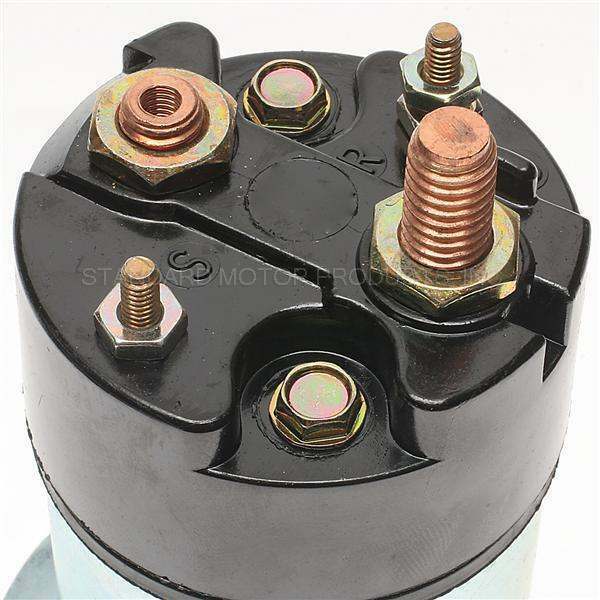 Description : .This top quality Standard Starter Solenoid generally fits Buick - Cadillac - Chevrolet - GMC - Oldsmobile - Pontiac vehicles and includes models such as ParkAvenue - Regal - Riviera - Roadmaster - CommercialChassis - DeVille - Eldorado - Seville - Astro - Blazer - C1500 - C2500 - C2500Suburban - C3500 - Camaro - Express1500 - Express2500 - G20 - Express3500 - G30 - K1500 - K2500 - K2500Suburban - K3500 - Lumina - MonteCarlo - P30 - S10 - Suburban1500 - Tahoe - C1500Suburban - K1500Suburban - Savana1500 - G2500 - Savana2500 - G3500 - Savana3500 - Jimmy - P3500 - Sonoma - Safari - Yukon - Aurora - Bravada - CutlassSupreme - Silhouette - Bonneville - Firebird - GrandPrix - TransSport with trims including . Engine types may include 3.8 V6 GAS CARB - 5.7 V8 GAS CARB - 4.6 V8 GAS FI - 4.3 V6 GAS FI - 5.0 V8 GAS CARB - 7.4 V8 GAS CARB - 3.4 V6 GAS FI - 4.0 V8 GAS FI - 3.8 V6 GAS FI. This part fits vehicles made in the following years 1999 - 1998 - 1997 - 1996 - 1995 1994 1993.. 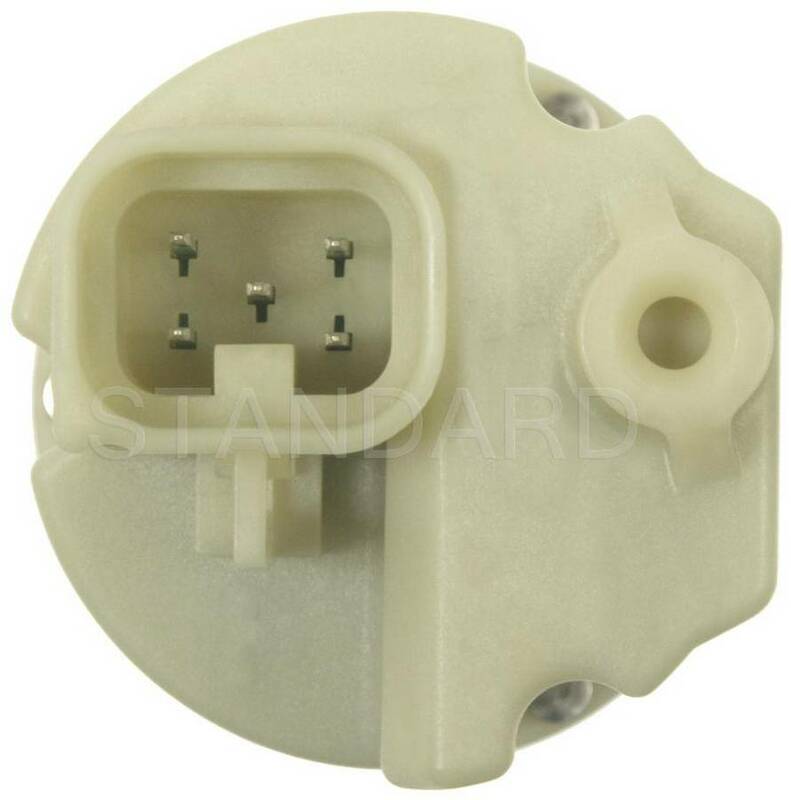 Description : .This top quality Standard 4WD Switch generally fits Chevrolet vehicles and includes models such as Suburban1500 Suburban2500 with trims including . Engine types may include 5.3 V8 GAS FI 6.0 V8 GAS FI. This part fits vehicles made in the following years 2000.. 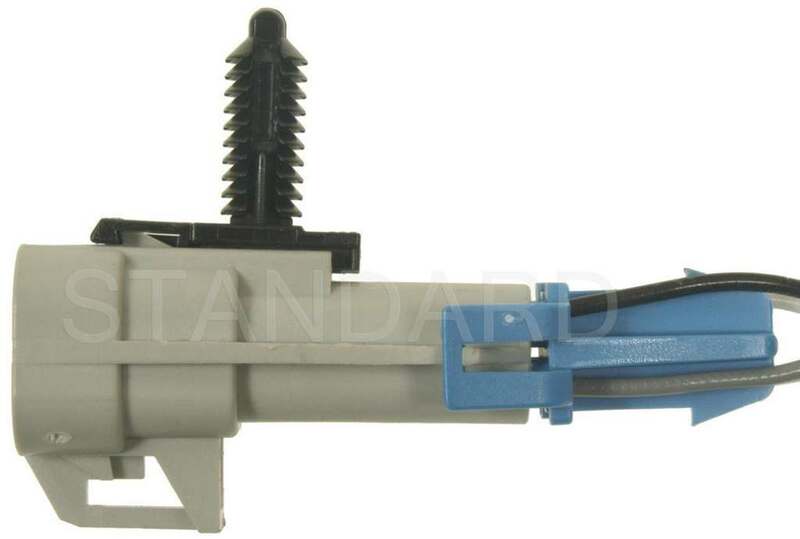 Description : .This top quality Standard 4WD Actuator Valve generally fits Chevrolet - GMC - Oldsmobile vehicles and includes models such as Trailblazer - Envoy - Bravada with trims including . Engine types may include 4.2 L6 GAS FI - 4.3 V6 GAS FI. This part fits vehicles made in the following years 2002 - 2001 - 2000 - 1999 - 1998 - 1997 - 1996 - 1994 - 1993 1992 1991.. Description : .This top quality Standard 4WD Actuator generally fits Chevrolet - GMC vehicles and includes models such as Silverado1500 - Silverado2500HD - Suburban1500 - Suburban2500 - Tahoe - Colorado - Avalanche - Silverado3500HD - Sierra1500 - Sierra2500HD - Yukon - YukonXL1500 - Canyon - Sierra3500HD with trims including . Engine types may include 5.3 V8 FLEX FI - 6.2 V8 GAS FI - 4.8 V8 GAS FI - 6.0 V8 GAS FI - 4.3 V6 GAS FI - 6.6 V8 DIESEL FI - 5.7 V8 GAS CARB - 2.9 L4 GAS FI - 3.7 L5 GAS FI - 5.3 V8 GAS FI. This part fits vehicles made in the following years 2013 - 2012 - 2011 - 2010 - 2009 - 2008 - 2007 - 1999 - 1998 - 1997 1996 1995.. 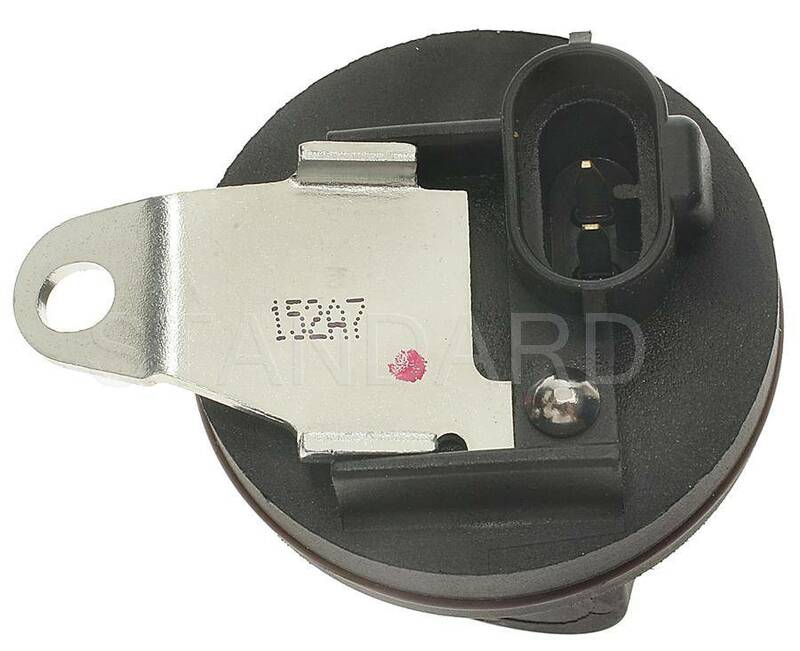 Description : .This top quality Standard Auto Trans Control Solenoid generally fits Chevrolet vehicles and includes models such as Colorado with trims including . Engine types may include 2.8 L4 GAS FI - 2.9 L4 GAS FI 3.7 L5 GAS FI. This part fits vehicles made in the following years 2008 2004.. 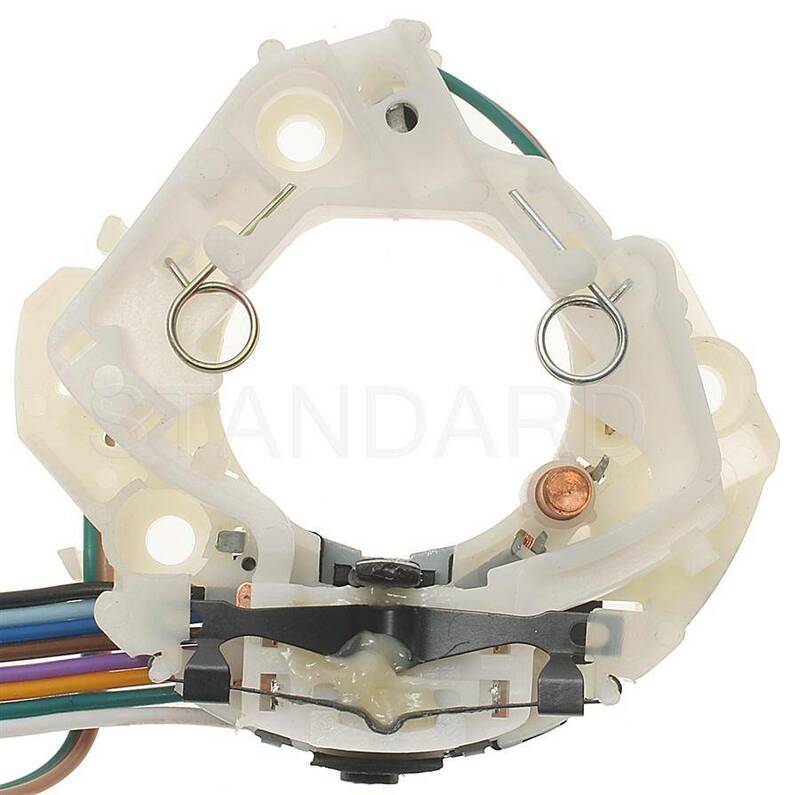 Description : .This top quality Standard Auto Trans Control Solenoid generally fits Chevrolet - GMC vehicles and includes models such as Express1500 - Lumina - MonteCarlo - S10 - Trailblazer - Silverado1500 - Suburban1500 - Suburban2500 - Savana1500 - Savana3500 - Sierra1500 - Yukon - YukonXL2500 - Canyon with trims including . Engine types may include 4.3 V6 GAS FI - 5.3 V8 GAS FI - 5.3 V8 FLEX FI - 3.4 V6 GAS FI - 3.8 V6 GAS CARB - 4.2 L6 GAS FI - 6.0 V8 GAS FI - 4.8 V8 GAS FI - 5.7 V8 GAS CARB - 8.1 V8 GAS FI - 6.6 V8 DIESEL FI - 6.2 V8 GAS FI - 3.5 L5 GAS FI - 2.8 L4 GAS FI - 2.9 L4 GAS FI - 3.7 L5 GAS FI. This part fits vehicles made in the following years 2008 - 2007 - 2006 - 2005 - 2004 - 2002 - 1999 1998 1997.. 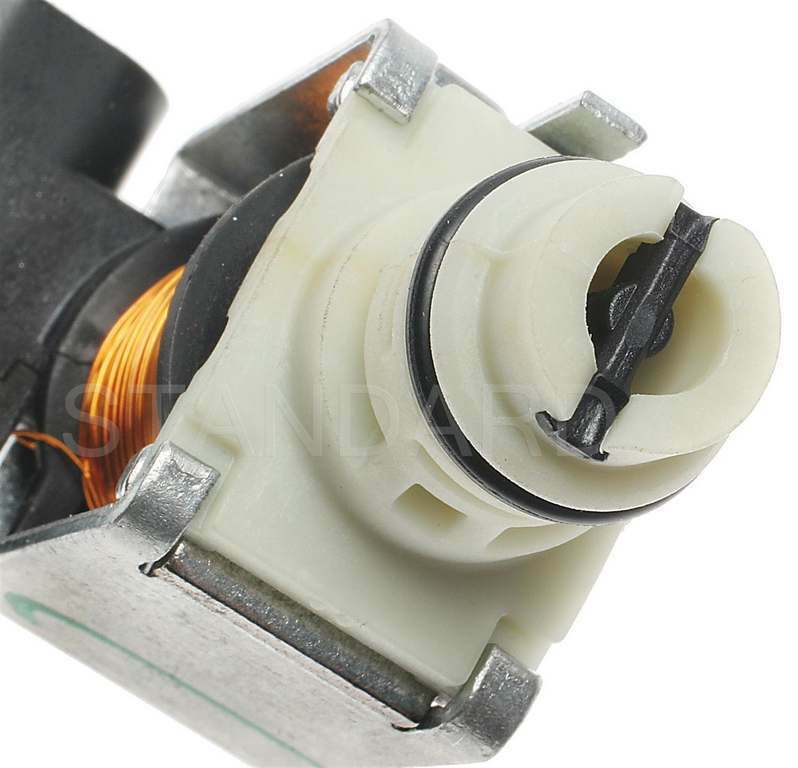 Description : .This top quality Standard Auto Trans Control Solenoid generally fits Chevrolet - Pontiac vehicles and includes models such as Lumina - MonteCarlo - Bonneville with trims including . Engine types may include 3.4 V6 GAS FI - 3.8 V6 GAS CARB. This part fits vehicles made in the following years 2002 - 2000 - 1999 1998 1997.. 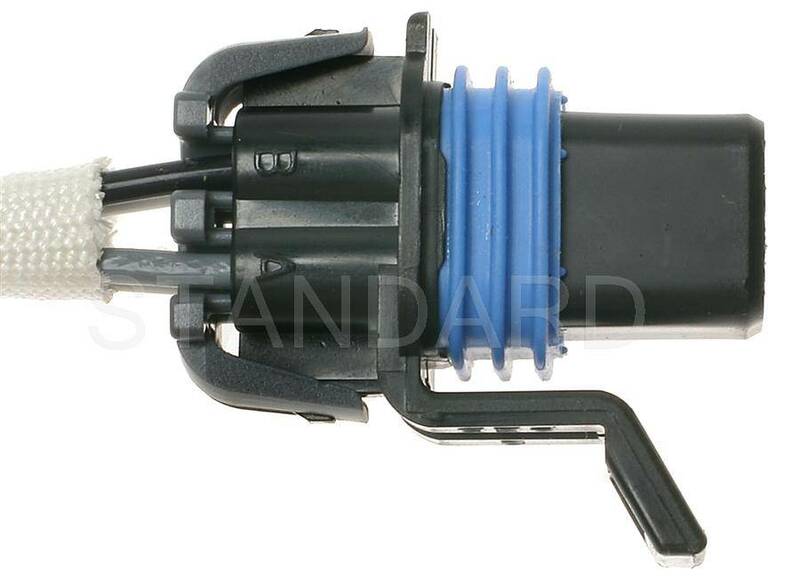 Description : .This top quality Standard Auto Trans Control Solenoid generally fits Chevrolet vehicles and includes models such as R3500 Suburban1500 with trims including . Engine types may include 5.7 V8 GAS CARB. This part fits vehicles made in the following years 1999 1991.. 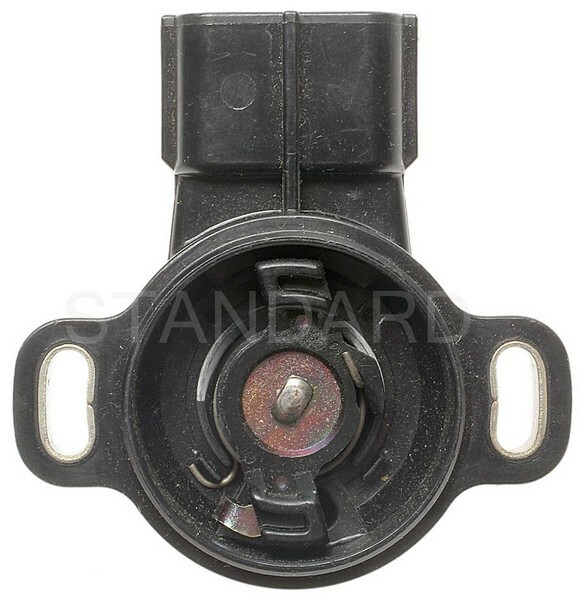 Description : .This top quality Standard Throttle Position Sensor generally fits Buick - Chevrolet - Oldsmobile - Pontiac vehicles and includes models such as Century - LeSabre - ParkAvenue - Regal - Riviera - Skylark - LuminaAPV - LuminaVan - Achieva - CutlassCiera - Silhouette - Bonneville - GrandAm - TransSport with trims including . Engine types may include 3.3 V6 GAS FI - 3.1 V6 GAS FI - 3.8 V6 GAS CARB - 3.8 V6 GAS FI. This part fits vehicles made in the following years 1996 - 1995 - 1994 1993 1992.. Description : .This top quality Standard Throttle Position Sensor generally fits Suzuki - Chevrolet - Geo - Pontiac vehicles and includes models such as Swift - Metro - Firefly with trims including . Engine types may include 1.3 L4 GAS FI - 1.0 L3 GAS CARB - 1.0 L3 GAS FI. This part fits vehicles made in the following years 2000 - 1999 - 1998 - 1997 - 1996 1995 1994.. 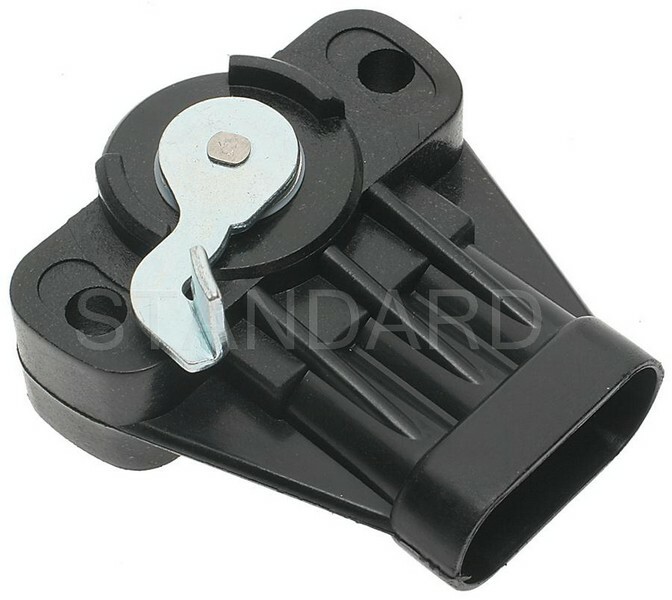 Description : .This top quality Standard Throttle Position Sensor generally fits Isuzu - Buick - Cadillac - Chevrolet - GMC - Oldsmobile - Pontiac - Saturn - Mitsubishi vehicles and includes models such as Hombre - Century - Regal - Rendezvous - Skylark - LaCrosse - DeVille - Eldorado - Seville - Beretta - C1500 - C1500Suburban - C2500 - C2500Suburban - C3500 - Camaro - Cavalier - Corsica - Express1500 - Express2500 - Express3500 - G30 - Impala - K1500 - K1500Suburban - K2500 - K3500 - Lumina - LuminaAPV - Malibu - MonteCarlo - P30 - S10 - Silverado1500 - Silverado1500HD - Silverado2500 - Silverado2500HD - Silverado3500 - Suburban1500 - Suburban2500 - Tahoe - Venture - Sonora - K2500Suburban - Savana1500 - Savana3500 - P3500 - Sonoma - Safari - Sierra1500 - Sierra1500HD - Sierra2500 - Sierra2500HD - Sierra3500 - SierraC3 - Yukon - YukonXL1500 - YukonXL2500 - Achieva - Alero - Bravada - Cutlass - CutlassSupreme - Intrigue - Silhouette - Bonneville - Firebird - GrandAm - GrandPrix - Montana - Sunfire - TransSport - GTO - L100 - L200 - LW200 - LS1 - LW1 - Mirage with trims including . Engine types may include 4.3 V6 GAS FI - 3.1 V6 GAS FI - 3.4 V6 GAS FI - 2.3 L4 GAS FI - 2.4 L4 GAS FI - 3.6 V6 GAS FI - 4.6 V8 GAS FI - 5.7 V8 GAS CARB - 5.0 V8 GAS CARB - 6.5 V8 DIESEL FI - 7.4 V8 GAS CARB - 5.7 V8 GAS FI - 2.2 L4 GAS FI - 6.0 V8 GAS FI - 4.8 V8 GAS FI - 5.3 V8 GAS FI - 5.3 V8 FLEX FI - 3.5 V6 GAS FI - 1.5 L4 GAS FI. This part fits vehicles made in the following years 2007 - 2006 - 2005 - 2004 - 2003 - 2002 - 2001 - 2000 - 1999 - 1998 - 1997 - 1996 - 1995 - 1994 1993 1986.. 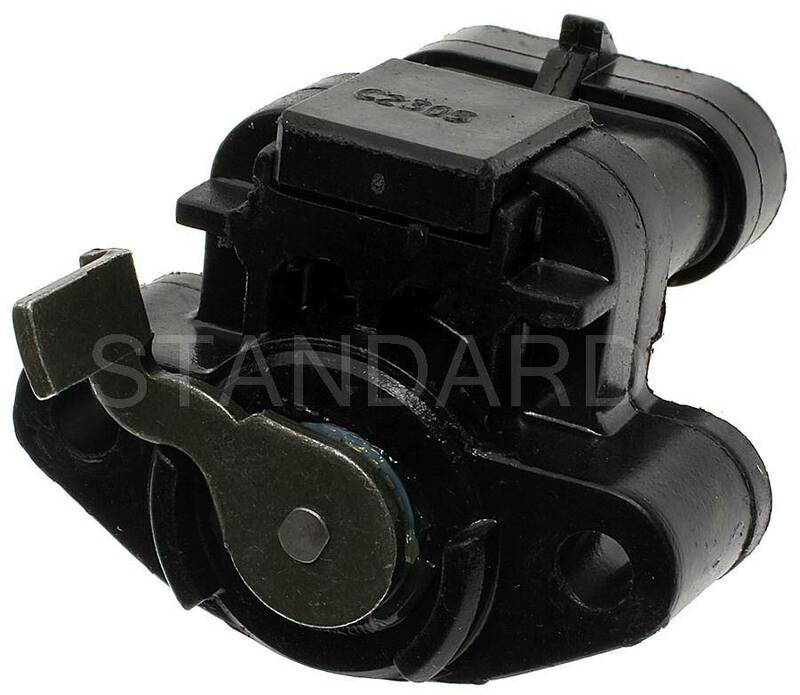 Description : .This top quality Standard Throttle Position Sensor generally fits Isuzu - Buick - Cadillac - Chevrolet - GMC - Oldsmobile - Pontiac - Saturn - Mitsubishi vehicles and includes models such as Hombre - Century - Regal - Rendezvous - Skylark - LaCrosse - DeVille - Eldorado - Seville - Beretta - C1500 - C1500Suburban - C2500 - C2500Suburban - C3500 - Camaro - Cavalier - Corsica - Express1500 - Express2500 - Express3500 - G30 - Impala - K1500 - K1500Suburban - K2500 - K3500 - Lumina - LuminaAPV - Malibu - MonteCarlo - P30 - S10 - Silverado1500 - Silverado1500HD - Silverado2500 - Silverado2500HD - Silverado3500 - Suburban1500 - Suburban2500 - Tahoe - Venture - Sonora - K2500Suburban - Savana1500 - Savana3500 - P3500 - Sonoma - Safari - Sierra1500 - Sierra1500HD - Sierra2500 - Sierra2500HD - Sierra3500 - SierraC3 - Yukon - YukonXL1500 - YukonXL2500 - Achieva - Alero - Bravada - Cutlass - CutlassSupreme - Intrigue - Silhouette - Bonneville - Firebird - GrandAm - GrandPrix - Montana - Sunfire - TransSport - GTO - L100 - L200 - LW200 - LS1 - LW1 - Mirage with trims including . Engine types may include 4.3 V6 GAS FI - 3.1 V6 GAS FI - 3.4 V6 GAS FI - 2.3 L4 GAS FI - 2.4 L4 GAS FI - 3.6 V6 GAS FI - 4.6 V8 GAS FI - 5.0 V8 GAS CARB - 5.7 V8 GAS CARB - 6.5 V8 DIESEL FI - 7.4 V8 GAS CARB - 5.7 V8 GAS FI - 2.2 L4 GAS FI - 4.8 V8 GAS FI - 6.0 V8 GAS FI - 5.3 V8 GAS FI - 5.3 V8 FLEX FI - 3.5 V6 GAS FI - 1.5 L4 GAS FI. This part fits vehicles made in the following years 2007 - 2006 - 2005 - 2004 - 2003 - 2002 - 2001 - 2000 - 1999 - 1998 - 1997 - 1996 - 1995 - 1994 1993 1986.. 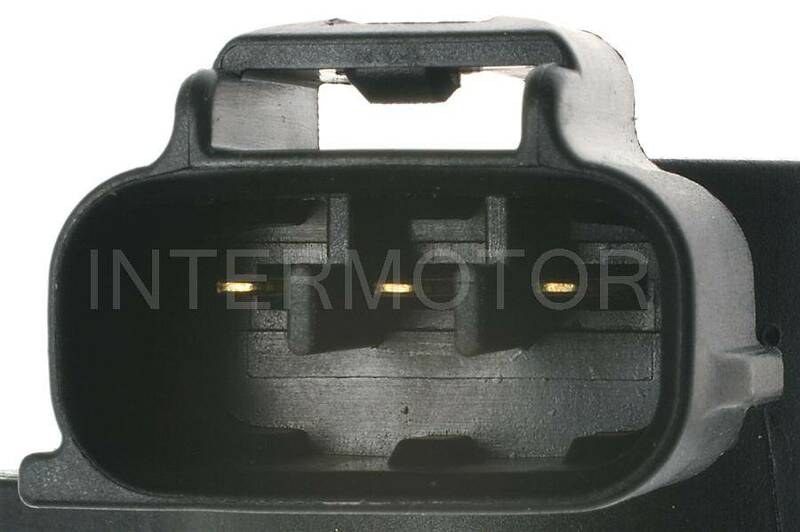 Description : .This top quality Standard Throttle Position Sensor generally fits Buick - Chevrolet - Oldsmobile - Pontiac vehicles and includes models such as LeSabre - ParkAvenue - Regal - Riviera - Camaro - Impala - Lumina - MonteCarlo - Intrigue - LSS - Regency - Bonneville - Firebird - GrandPrix with trims including . Engine types may include 3.8 V6 GAS CARB - 3.8 V6 GAS FI - 4.6 V8 GAS FI. This part fits vehicles made in the following years 2005 - 2004 - 2003 - 2002 - 2001 - 2000 - 1999 - 1998 - 1997 1996 1995.. 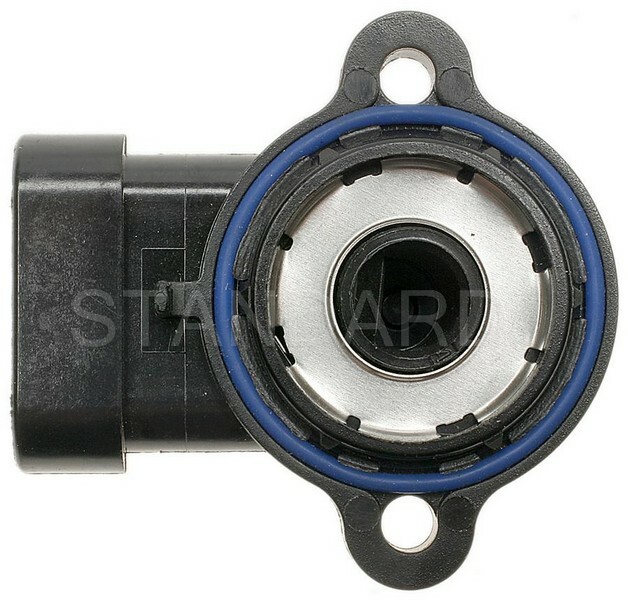 Description : .This top quality Standard Throttle Position Sensor generally fits Buick - Cadillac - Chevrolet - GMC - Oldsmobile - Pontiac vehicles and includes models such as Century - Electra - EstateWagon - LeSabre - Regal - Riviera - Skyhawk - CommercialChassis - DeVille - Eldorado - Fleetwood - Brougham - Seville - Astro - K5Blazer - C10 - C10Suburban - C20 - C30 - Camaro - Caprice - Chevette - Corvette - ElCamino - G10 - G20 - G30 - Impala - K10 - K10Suburban - K20 - K30 - Malibu - MonteCarlo - Monza - P20 - P30 - C1500 - C2500 - C3500 - K1500 - K2500 - K3500 - Caballero - G1500 - G2500 - G3500 - Jimmy - P2500 - P3500 - Safari - CutlassCalais - CutlassCiera - CustomCruiser - CutlassSalon - CutlassCruiser - CutlassSupreme - Delta88 - Toronado - Bonneville - Catalina - Firebird - GrandAm - GrandLeMans - GrandPrix - Parisienne - Sunbird - T1000 - Laurentian with trims including . Engine types may include 5.0 V8 GAS CARB - 3.8 V6 GAS CARB - 4.3 V8 GAS CARB - 3.0 V6 GAS CARB - 5.7 V8 GAS FI - 4.1 V6 GAS CARB - 6.0 V8 GAS CARB - 4.3 V6 GAS FI - 5.7 V8 GAS CARB - 4.4 V8 GAS CARB - 1.6 L4 GAS CARB - 4.9 V8 GAS CARB. 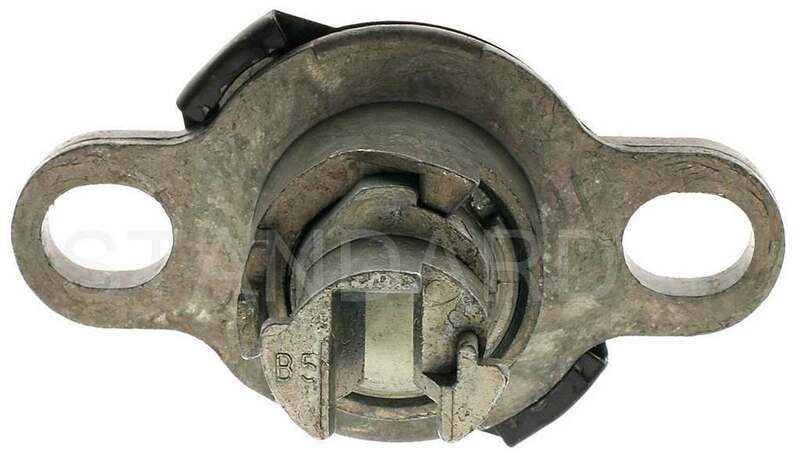 This part fits vehicles made in the following years 1990 - 1989 - 1988 - 1987 - 1986 - 1985 - 1984 - 1983 - 1982 1981 1980.. Description : .This top quality Standard Throttle Position Sensor generally fits Suzuki - Subaru - Chevrolet vehicles and includes models such as Esteem - GrandVitara - Sidekick - Forester - Impreza - Legacy - Tracker with trims including . Engine types may include 1.8 L4 GAS FI - 2.5 V6 GAS FI - 2.5 H4 GAS FI - 2.2 H4 GAS FI. This part fits vehicles made in the following years 2005 - 2004 - 2003 - 2002 - 2001 - 2000 - 1999 - 1998 - 1997 1996 1995.. Description : .This top quality Standard Throttle Position Sensor generally fits Suzuki - Chevrolet - Geo - Pontiac vehicles and includes models such as Swift - Sprint - Metro - Firefly with trims including . Engine types may include 1.3 L4 GAS FI - 1.3 L4 GAS CARB - 1.0 L3 GAS FI - 1.0 L3 GAS CARB. This part fits vehicles made in the following years 1994 - 1993 1992 1989.. 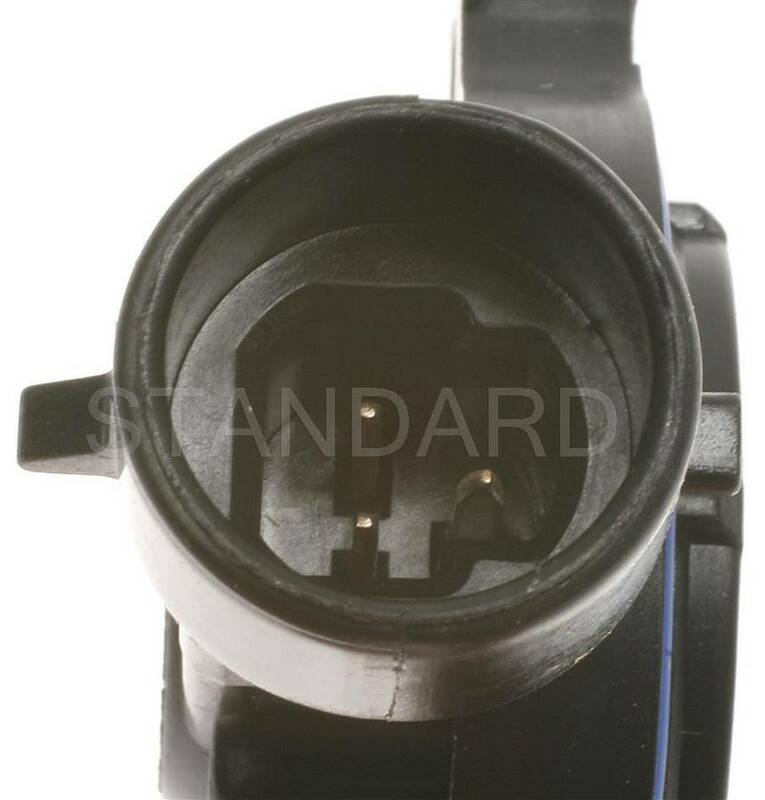 Description : .This top quality Standard Throttle Position Sensor generally fits Suzuki - Chevrolet vehicles and includes models such as GrandVitara - XL-7 - Tracker with trims including . Engine types may include 2.7 V6 GAS FI - 2.0 L4 GAS FI. This part fits vehicles made in the following years 2006 - 2005 - 2004 - 2003 - 2002 - 2001 2000 1999.. Description : .This top quality Standard Throttle Position Sensor generally fits Chevrolet - GMC vehicles and includes models such as C3500 - Express3500 - P30 - Silverado1500 - Silverado1500HD - Silverado2500 - Silverado2500HD - Silverado3500 - Suburban1500 - Suburban2500 - Tahoe - Savana3500 - P3500 - Sierra1500HD - Sierra2500 - Sierra2500HD - Sierra3500 - SierraC3 - Yukon - YukonXL1500 - YukonXL2500 with trims including . Engine types may include 8.1 V8 GAS FI - 7.4 V8 GAS CARB - 4.8 V8 GAS FI - 5.3 V8 GAS FI - 6.0 V8 GAS FI. This part fits vehicles made in the following years 2003 - 2002 - 2001 - 2000 1999 1998.. Description : .This top quality Standard Throttle Position Sensor generally fits Cadillac - Chevrolet - Oldsmobile - Pontiac vehicles and includes models such as Cimarron - Camaro - Cavalier - Celebrity - CitationII - Corvette - CutlassCiera - Firenza - 6000 - Firebird with trims including . Engine types may include 2.8 V6 GAS CARB - 5.0 V8 GAS CARB - 5.7 V8 GAS CARB - 2.5 L4 GAS CARB. This part fits vehicles made in the following years 1989 - 1988 - 1987 1986 1985.. Description : .This top quality Standard Throttle Position Sensor generally fits Cadillac - Chevrolet - GMC - Oldsmobile - Pontiac vehicles and includes models such as Brougham - C1500 - C3500 - Camaro - Caprice - G30 - K3500 - LuminaAPV - P30 - R20 - R20Suburban - R2500 - R2500Suburban - R30 - R3500 - V30 - V3500 - G3500 - P3500 - Silhouette - Firebird - TransSport with trims including . Engine types may include 5.7 V8 GAS FI - 7.4 V8 GAS CARB - 5.0 V8 GAS CARB - 3.1 V6 GAS FI. This part fits vehicles made in the following years 1990 - 1989 1988 1987.. Description : .This top quality Standard Throttle Position Sensor generally fits Chevrolet - GMC - Oldsmobile - Pontiac vehicles and includes models such as Astro - Blazer - C1500 - C2500 - C3500 - Caprice - ElCamino - G10 - G20 - G30 - K1500 - K2500 - K3500 - MonteCarlo - P20 - P30 - R10 - R20 - R30 - R3500 - S10Blazer - V10 - V20 - V30 - V3500 - R1500Suburban - R2500 - R2500Suburban - V1500Suburban - V2500Suburban - Caballero - G1500 - G2500 - G3500 - Jimmy - P2500 - P3500 - S15Jimmy - Sonoma - Syclone - Safari - Bravada - Bonneville - GrandPrix - Parisienne with trims including . Engine types may include 4.3 V6 GAS FI - 5.7 V8 GAS CARB - 5.0 V8 GAS CARB - 6.2 V8 DIESEL FI. 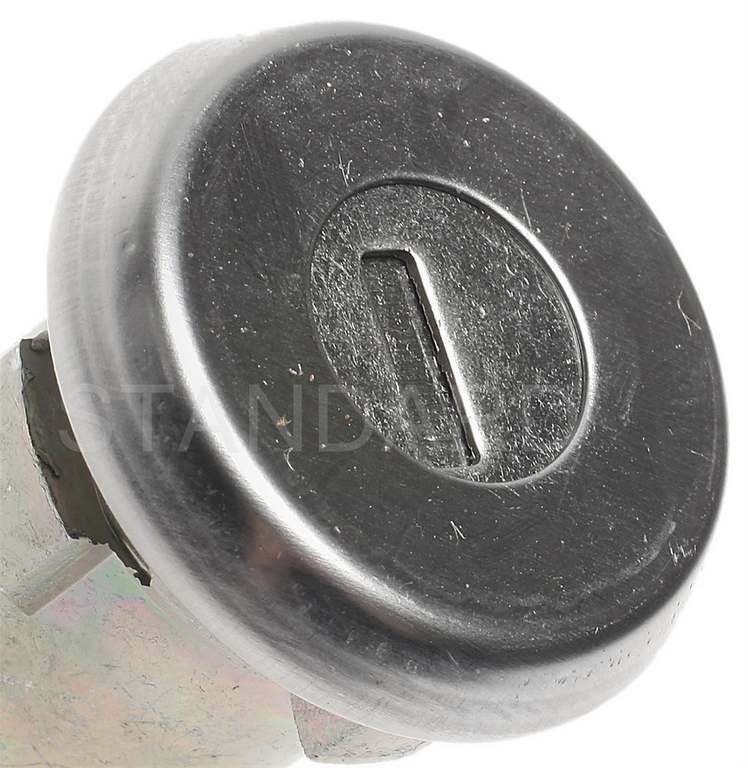 This part fits vehicles made in the following years 1991 - 1990 - 1989 - 1988 1987 1986.. Description : .This top quality Standard Throttle Position Sensor generally fits Suzuki - Daewoo - Isuzu - Buick - Cadillac - Chevrolet - GMC - Oldsmobile - Pontiac vehicles and includes models such as Reno - Leganza - Nubira - Amigo - Hombre - Pickup - Rodeo - RodeoSport - Century - Roadmaster - Skyhawk - CommercialChassis - Fleetwood - Brougham - Astro - Beretta - Blazer - C1500 - C1500Suburban - C2500 - C2500Suburban - C3500 - Camaro - Caprice - Cavalier - Corsica - G10 - G20 - G30 - K1500 - K1500Suburban - K2500 - K2500Suburban - K3500 - LuminaAPV - P30 - R2500Suburban - R3500 - S10Blazer - Tahoe - V3500 - Aveo - ChevyMonza - G1500 - G2500 - G3500 - Jimmy - P3500 - Sonoma - Syclone - Safari - Yukon - Bravada - CutlassCiera - CustomCruiser - Firenza - Silhouette - Firebird - Sunbird - Sunfire - TransSport with trims including . Engine types may include 2.0 L4 GAS FI - 2.2 L4 GAS FI - 3.1 V6 GAS FI - 2.3 L4 GAS CARB - 5.0 V8 GAS CARB - 5.7 V8 GAS FI - 4.3 V6 GAS FI - 5.7 V8 GAS CARB - 7.4 V8 GAS CARB - 3.4 V6 GAS FI - 2.8 V6 GAS CARB - 1.6 L4 GAS FI. This part fits vehicles made in the following years 2005 - 2004 - 2003 - 2002 - 2001 - 2000 - 1999 - 1998 - 1997 - 1996 - 1995 - 1994 - 1993 - 1992 - 1991 - 1990 - 1989 1988 1987.. 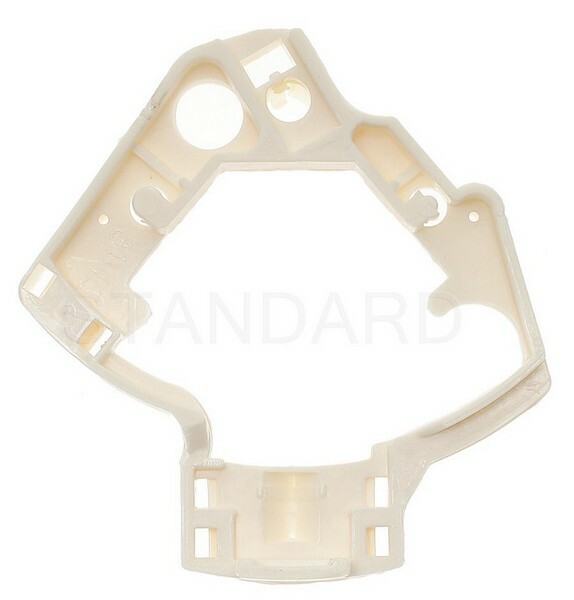 Description : .This top quality Standard Throttle Position Sensor generally fits Buick - Chevrolet - Oldsmobile - Pontiac vehicles and includes models such as Century - Electra - LeSabre - ParkAvenue - Reatta - Regal - Riviera - Skylark - LuminaAPV - Achieva - CutlassCalais - CutlassCiera - Delta88 - Silhouette - Toronado - Bonneville - GrandAm - TransSport with trims including . Engine types may include 3.3 V6 GAS FI - 3.8 V6 GAS CARB. This part fits vehicles made in the following years 1994 - 1993 - 1992 - 1991 - 1990 1989 1988.. 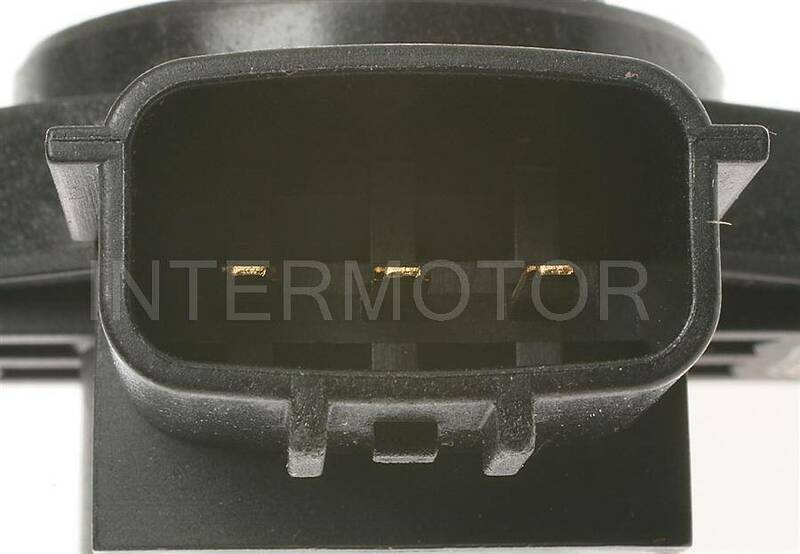 Description : .This top quality Standard Throttle Position Sensor generally fits Isuzu - Buick - Cadillac - Chevrolet - GMC - Geo - Oldsmobile - Pontiac vehicles and includes models such as Amigo - Impulse - Rodeo - Stylus - Trooper - VehiCROSS - Century - Regal - Roadmaster - Skylark - Fleetwood - Astro - Beretta - Blazer - Camaro - Caprice - Cavalier - Celebrity - Corsica - Corvette - Lumina - S10Blazer - Jimmy - Sonoma - Safari - Storm - Achieva - CutlassCalais - CutlassCiera - CutlassSupreme - 6000 - Firebird - GrandAm - GrandPrix - Sunbird - Tempest with trims including . Engine types may include 3.2 V6 GAS FI - 1.6 L4 GAS FI - 1.8 L4 GAS FI - 2.6 L4 GAS FI - 3.5 V6 GAS FI - 2.8 V6 GAS CARB - 3.1 V6 GAS FI - 5.7 V8 GAS CARB - 2.3 L4 GAS FI - 4.3 V6 GAS FI - 4.3 V8 GAS FI - 2.2 L4 GAS CARB. This part fits vehicles made in the following years 2001 - 2000 - 1999 - 1998 - 1997 - 1996 - 1995 - 1994 - 1993 - 1992 - 1991 - 1990 1989 1988.. 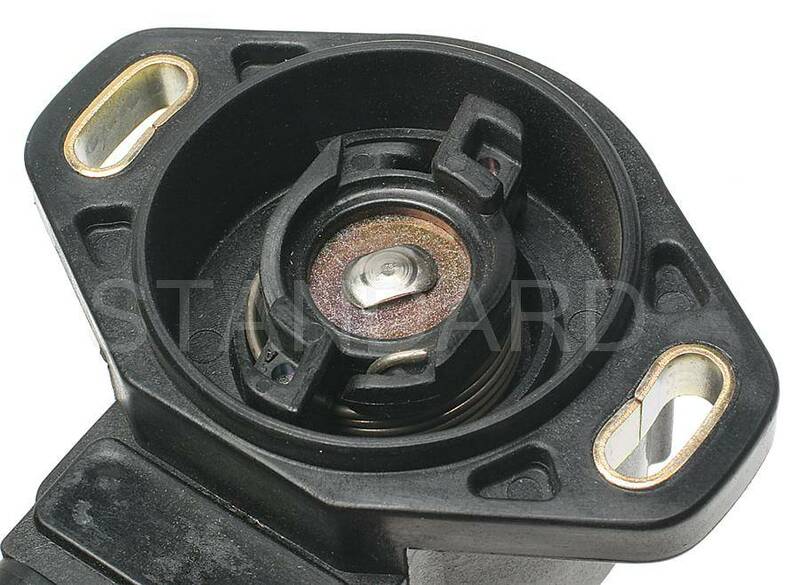 Description : .This top quality Standard Throttle Position Sensor generally fits Buick - Chevrolet - GMC - Oldsmobile - Pontiac vehicles and includes models such as Century - Skyhawk - Skylark - Somerset - SomersetRegal - Astro - Camaro - Celebrity - Citation - CitationII - S10Blazer - S15Jimmy - Safari - Calais - CutlassCiera - Firenza - 6000 - Fiero - Firebird - GrandAm - J2000 - J2000Sunbird - Phoenix - Acadian with trims including . Engine types may include 2.5 L4 GAS CARB - 1.8 L4 GAS FI - 1.8 L4 DIESEL FI. 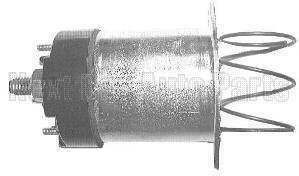 This part fits vehicles made in the following years 1986 - 1985 - 1984 1983 1982.. Description : .This top quality Standard Throttle Position Sensor generally fits Chevrolet - Pontiac vehicles and includes models such as Camaro - Corvette - Firebird with trims including . Engine types may include 5.0 V8 GAS CARB - 5.7 V8 GAS CARB. This part fits vehicles made in the following years 1992 1991 1990.. Description : .This top quality Standard Fuel Injector generally fits Chevrolet - GMC vehicles and includes models such as C1500 - C2500 - C2500Suburban - C3500 - G30 - K2500 - K2500Suburban - K3500 - P30 - R20 - R20Suburban - R2500 - R2500Suburban - R30 - R3500 - V20Suburban - V2500Suburban - V30 - V3500 - G3500 - P3500 with trims including . Engine types may include 7.4 V8 GAS CARB. This part fits vehicles made in the following years 1995 - 1994 - 1993 - 1992 - 1991 - 1990 - 1989 1988 1987.. 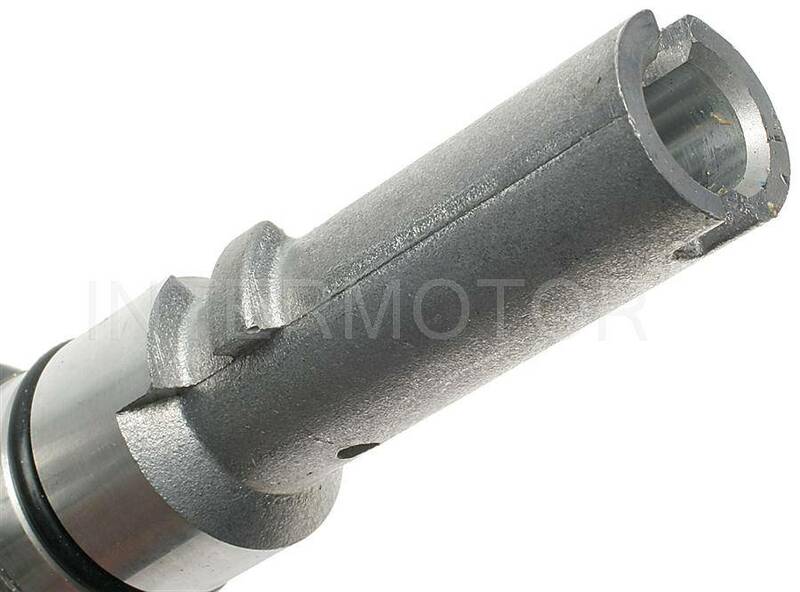 Description : .This top quality Standard Fuel Injector generally fits Buick - Chevrolet - GMC - Oldsmobile - Pontiac vehicles and includes models such as Century - Skyhawk - Skylark - Somerset - Astro - Beretta - Cavalier - Celebrity - Corsica - LLV - S10Blazer - S15Jimmy - Sonoma - Safari - Calais - CutlassCalais - CutlassCiera - CutlassCruiser - Firenza - 6000 - Fiero - GrandAm - Tempest with trims including . Engine types may include 2.5 L4 GAS CARB - 2.0 L4 GAS FI - 2.2 L4 GAS FI - 2.0 L4 GAS CARB - 2.2 L4 GAS CARB. This part fits vehicles made in the following years 1991 - 1990 - 1989 1988 1987.. Description : .This top quality Standard Fuel Injector generally fits Buick - Cadillac - Chevrolet - GMC - Oldsmobile - Pontiac vehicles and includes models such as Skyhawk - DeVille - Eldorado - Seville - Astro - C1500 - C2500 - Caprice - ElCamino - G10 - G20 - G30 - Impala - K1500 - K2500 - MonteCarlo - P30 - R10 - R20 - S10Blazer - V10 - R2500 - Caballero - G1500 - G2500 - G3500 - Jimmy - P3500 - R1500 - S15Jimmy - Sonoma - Safari - V1500 - Bravada - Firenza - Bonneville - GrandPrix - J2000 - J2000Sunbird - Parisienne with trims including . Engine types may include 1.8 L4 GAS CARB - 1.8 L4 GAS FI - 4.5 V8 GAS FI - 4.3 V6 GAS FI. This part fits vehicles made in the following years 1995 - 1994 - 1993 - 1992 - 1991 - 1990 - 1989 - 1988 - 1987 - 1986 - 1985 - 1984 1983 1982.. Description : .This top quality Standard Fuel Injector generally fits Buick - Chevrolet - GMC - Oldsmobile - Pontiac vehicles and includes models such as Century - Skylark - Celebrity - LLV - S10 - Sonoma - CutlassCalais - CutlassCiera - CutlassCruiser - 6000 - GrandAm with trims including . Engine types may include 2.5 L4 GAS CARB. This part fits vehicles made in the following years 1993 - 1992 - 1991 1990 1989.. 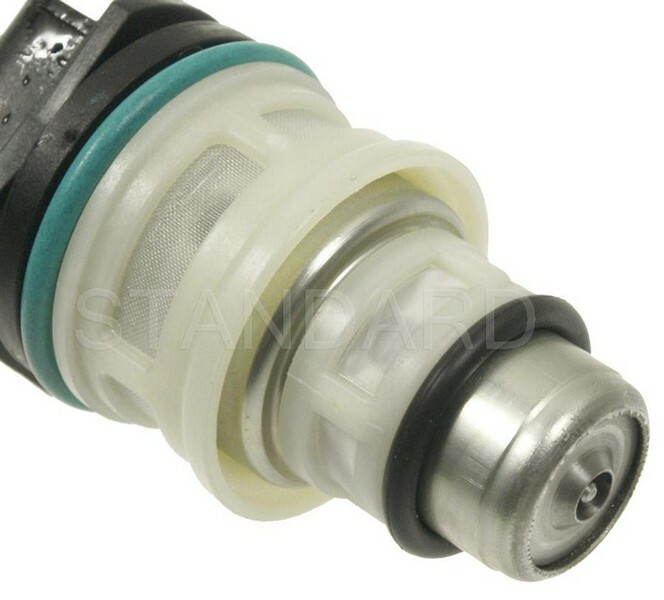 Description : .This top quality Standard Fuel Injector generally fits Buick - Cadillac - Chevrolet - GMC - Oldsmobile - Pontiac vehicles and includes models such as Roadmaster - Brougham - Astro - Blazer - C1500 - C2500 - Camaro - Caprice - G10 - G20 - K1500 - K2500 - R10 - R10Suburban - R20 - V10 - R1500Suburban - R2500 - G1500 - G2500 - Jimmy - Safari - V1500 - CustomCruiser - Firebird with trims including . Engine types may include 5.0 V8 GAS CARB - 4.3 V6 GAS FI. This part fits vehicles made in the following years 1995 - 1994 - 1993 - 1992 - 1991 - 1990 - 1989 1988 1987.. Description : .This top quality Standard Fuel Injector generally fits Renault - Isuzu - Chevrolet - GMC - Oldsmobile - Pontiac vehicles and includes models such as Alliance - Encore - Pickup - Rodeo - Trooper - LuminaAPV - S10Blazer - S15Jimmy - Sonoma - Silhouette - TransSport with trims including . Engine types may include 1.4 L4 GAS FI - 3.1 V6 GAS FI - 2.8 V6 GAS FI - 2.8 V6 GAS CARB. This part fits vehicles made in the following years 1995 - 1994 - 1993 - 1992 - 1991 - 1990 - 1989 - 1988 - 1987 - 1986 1985 1984.. Description : .This top quality Standard Fuel Injector generally fits Isuzu - Buick - Cadillac - Chevrolet - GMC - Oldsmobile vehicles and includes models such as NPR - Roadmaster - CommercialChassis - Fleetwood - Brougham - Blazer - C1500 - C1500Suburban - C2500 - C2500Suburban - C3500 - Caprice - G10 - G20 - G30 - K1500 - K1500Suburban - K2500 - K2500Suburban - K3500 - P20 - P30 - R10 - R10Suburban - R1500Suburban - R20 - R20Suburban - R2500 - R2500Suburban - R30 - R3500 - Tahoe - V10 - V10Suburban - V1500Suburban - V20 - V20Suburban - V2500Suburban - V30 - V3500 - G1500 - G2500 - G3500 - Jimmy - P2500 - P3500 - Yukon - CustomCruiser with trims including . Engine types may include 5.7 V8 GAS CARB - 5.7 V8 GAS FI. This part fits vehicles made in the following years 1996 - 1995 - 1994 - 1993 - 1992 - 1991 - 1990 - 1989 1988 1987.. 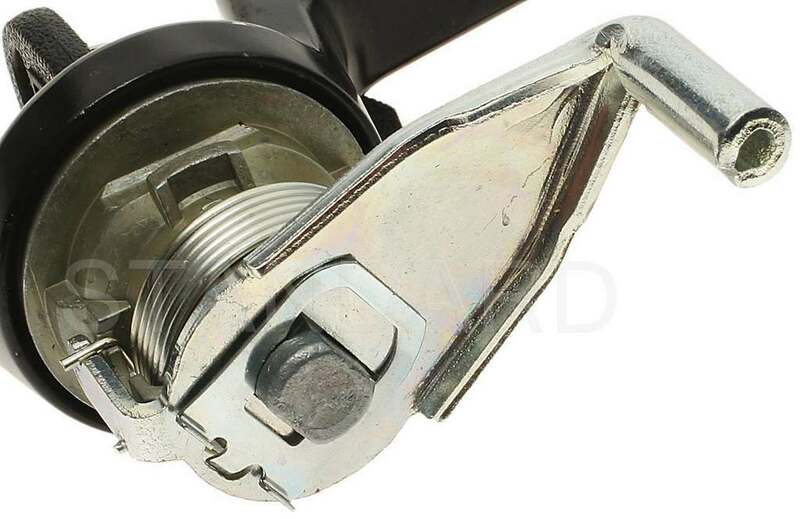 Description : .This top quality Standard Trunk Lock generally fits Buick - Cadillac - Chevrolet - Oldsmobile - Pontiac vehicles and includes models such as Limited - Century - Electra - EstateWagon - LeSabre - Riviera - Roadmaster - CommercialChassis - GS350 - Invicta - Wildcat - Special - Super - Sportwagon - GranSport - DeVille - Eldorado - Series60Fleetwood - Series75Fleetwood - BelAir - Corvette - Impala - Corvair - CustomCruiser - Cutlass - CutlassSalon - VistaCruiser - Dynamic - F85 - Super88 - Bonneville - Catalina - Safari - GrandPrix - LeMans - Ventura - Chieftain - StarChief - Tempest with trims including . Engine types may include 6.0 V8 GAS CARB - 6.6 V8 GAS CARB - 7.5 V8 GAS CARB - 5.7 V8 GAS CARB - 3.8 V6 GAS CARB - 7.0 V8 GAS CARB - 4.9 V8 GAS CARB - 3.7 V6 GAS CARB - 5.6 V8 GAS CARB - 4.1 V8 GAS FI - 4.5 V8 GAS FI - 6.4 V8 GAS CARB - 7.7 V8 GAS CARB - 4.6 V8 GAS CARB - 3.8 L6 GAS CARB - 4.3 L6 GAS CARB - 5.3 V8 GAS CARB - 6.7 V8 GAS CARB - 2.3 H6 GAS CARB - 2.4 H6 GAS CARB - 4.1 L6 GAS FI - 5.7 V8 GAS FI - 3.5 V8 GAS CARB - 4.1 L6 GAS CARB - 5.0 V8 GAS CARB - 5.4 V8 GAS CARB - 6.1 V8 GAS CARB - 6.5 V8 GAS CARB - 6.9 V8 GAS CARB - 3.2 L4 GAS CARB. This part fits vehicles made in the following years 1999 - 1996 - 1995 - 1988 - 1987 - 1986 - 1979 - 1978 - 1977 - 1976 - 1975 - 1974 - 1973 - 1972 - 1971 - 1970 - 1969 - 1968 - 1967 - 1966 - 1965 - 1964 - 1963 - 1962 - 1961 - 1960 1959 1958.. 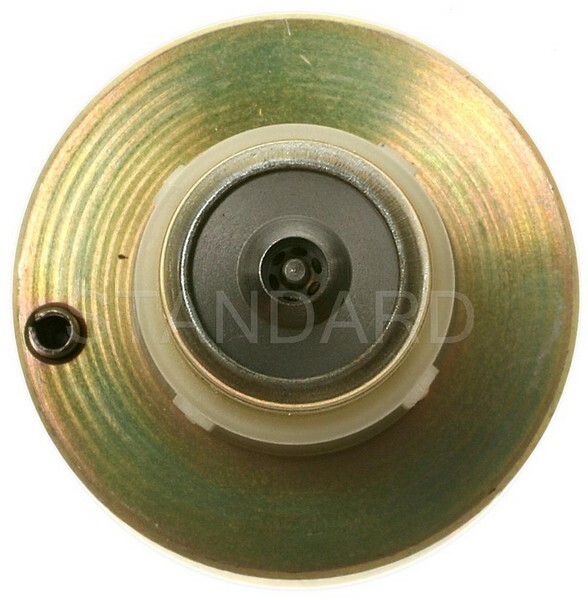 Description : .This top quality Standard Trunk Lock generally fits Buick - Cadillac - Chevrolet - Oldsmobile - Pontiac vehicles and includes models such as Limited - Century - Electra - EstateWagon - LeSabre - Riviera - Roadmaster - CommercialChassis - GS350 - Invicta - Wildcat - Special - Super - Sportwagon - GranSport - DeVille - Eldorado - Series60Fleetwood - Series75Fleetwood - BelAir - Corvette - Impala - Corvair - CustomCruiser - Cutlass - CutlassSalon - VistaCruiser - Dynamic - F85 - Super88 - Bonneville - Catalina - Safari - GrandPrix - LeMans - Ventura - Chieftain - StarChief - Tempest with trims including . Engine types may include 6.0 V8 GAS CARB - 6.6 V8 GAS CARB - 5.7 V8 GAS CARB - 7.5 V8 GAS CARB - 3.8 V6 GAS CARB - 7.0 V8 GAS CARB - 3.7 V6 GAS CARB - 4.9 V8 GAS CARB - 5.6 V8 GAS CARB - 4.1 V8 GAS FI - 4.5 V8 GAS FI - 6.4 V8 GAS CARB - 7.7 V8 GAS CARB - 4.6 V8 GAS CARB - 3.8 L6 GAS CARB - 5.3 V8 GAS CARB - 4.3 L6 GAS CARB - 6.7 V8 GAS CARB - 2.3 H6 GAS CARB - 2.4 H6 GAS CARB - 4.1 L6 GAS FI - 5.7 V8 GAS FI - 3.5 V8 GAS CARB - 4.1 L6 GAS CARB - 5.0 V8 GAS CARB - 5.4 V8 GAS CARB - 6.1 V8 GAS CARB - 6.5 V8 GAS CARB - 6.9 V8 GAS CARB - 3.2 L4 GAS CARB. This part fits vehicles made in the following years 1999 - 1996 - 1995 - 1988 - 1987 - 1986 - 1979 - 1978 - 1977 - 1976 - 1975 - 1974 - 1973 - 1972 - 1971 - 1970 - 1969 - 1968 - 1967 - 1966 - 1965 - 1964 - 1963 - 1962 - 1961 - 1960 1959 1958.. Description : .This top quality Standard Trunk Lock generally fits Chevrolet - Pontiac vehicles and includes models such as Lumina - Firebird with trims including . Engine types may include 3.1 V6 GAS FI - 3.8 V6 GAS CARB - 5.7 V8 GAS CARB - 5.7 V8 GAS FI. This part fits vehicles made in the following years 1999 - 1998 1997 1996.. Description : .This top quality Standard Trunk Lock generally fits Chevrolet - Oldsmobile vehicles and includes models such as K5Blazer - Bravada with trims including . Engine types may include 5.0 V8 GAS CARB - 6.2 V8 DIESEL FI - 5.7 V8 GAS CARB - 4.3 V6 GAS FI. This part fits vehicles made in the following years 1994 - 1993 - 1992 - 1991 - 1986 - 1985 1984 1983.. 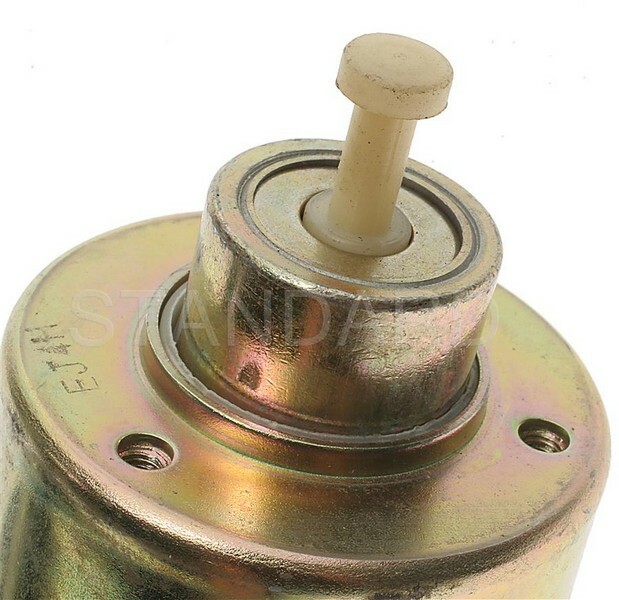 Description : .This top quality Standard Auto Trans Modulator Valve generally fits Buick - Cadillac - Chevrolet - GMC - Oldsmobile - Pontiac vehicles and includes models such as Century - Electra - LeSabre - Regal - Riviera - Skyhawk - Skylark - Somerset - SomersetRegal - CommercialChassis - Cimarron - DeVille - Eldorado - Fleetwood - Brougham - Seville - Blazer - K5Blazer - C10 - C10Suburban - C1500 - C20 - C20Suburban - C2500 - C30 - C3500 - Camaro - Caprice - Corvette - ElCamino - G10 - G20 - G30 - Impala - K10 - K10Suburban - K1500 - K20 - K20Suburban - K2500 - K30 - K3500 - Laguna - Malibu - MonteCarlo - Nova - P10 - P20 - P30 - R10Suburban - R20 - R20Suburban - R30 - V10Suburban - V20 - V20Suburban - V30 - C1500Suburban - C2500Suburban - K1500Suburban - K2500Suburban - R1500Suburban - R2500 - R2500Suburban - R3500 - V1500Suburban - V2500Suburban - V3500 - C15Suburban - C25Suburban - Caballero - G15 - G1500 - G25 - G2500 - G35 - G3500 - Jimmy - K15Suburban - K25Suburban - P1500 - P2500 - P3500 - Sprint - Calais - CutlassCiera - CustomCruiser - CutlassSalon - CutlassSupreme - Delta88 - Firenza - Omega - Toronado - 6000 - Bonneville - Fiero - Firebird - GrandAm - GrandPrix - J2000Sunbird - Parisienne - Phoenix - T1000 - Ventura with trims including . Engine types may include 5.7 V8 GAS CARB - 2.8 V6 GAS CARB - 3.8 V6 GAS CARB - 3.0 V6 GAS CARB - 2.5 L4 GAS CARB - 4.3 V6 DIESEL FI - 5.0 V8 GAS CARB - 1.8 L4 GAS FI - 2.0 L4 GAS FI - 4.1 V8 GAS FI - 6.6 V8 GAS CARB - 4.1 L6 GAS CARB - 6.2 V8 DIESEL FI - 4.8 L6 GAS CARB - 7.4 V8 GAS CARB - 4.3 V6 GAS FI - 5.7 V8 GAS FI - 4.4 V8 GAS CARB - 1.6 L4 GAS CARB. This part fits vehicles made in the following years 1989 - 1988 - 1987 - 1986 - 1985 - 1984 - 1983 - 1982 - 1981 - 1980 - 1979 - 1978 - 1977 1976 1975.. 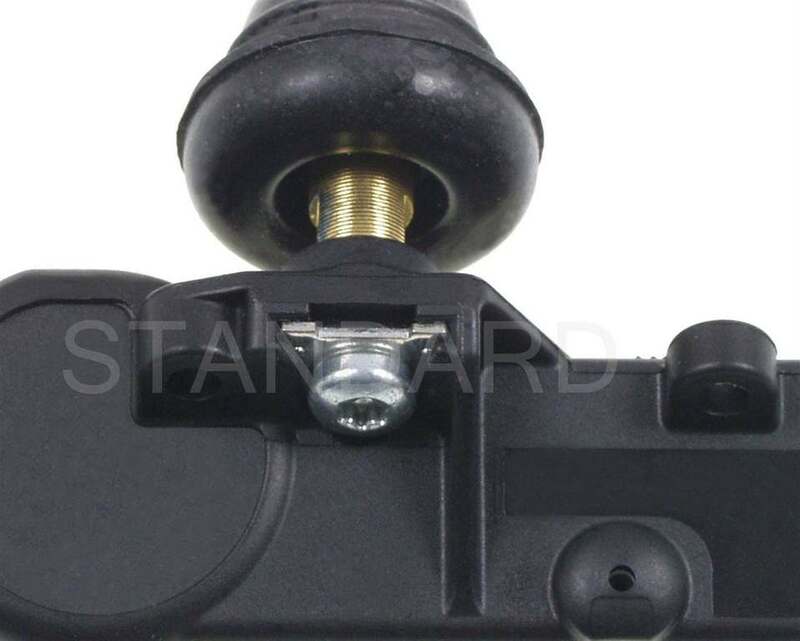 Description : .This top quality Standard Tire Pressure Monitoring System Sensor generally fits Chevrolet - GMC vehicles and includes models such as Express4500 - Savana3500 with trims including . Engine types may include 6.0 V8 GAS FI 6.6 V8 DIESEL FI 4.8 V8 GAS FI. This part fits vehicles made in the following years 2013.. 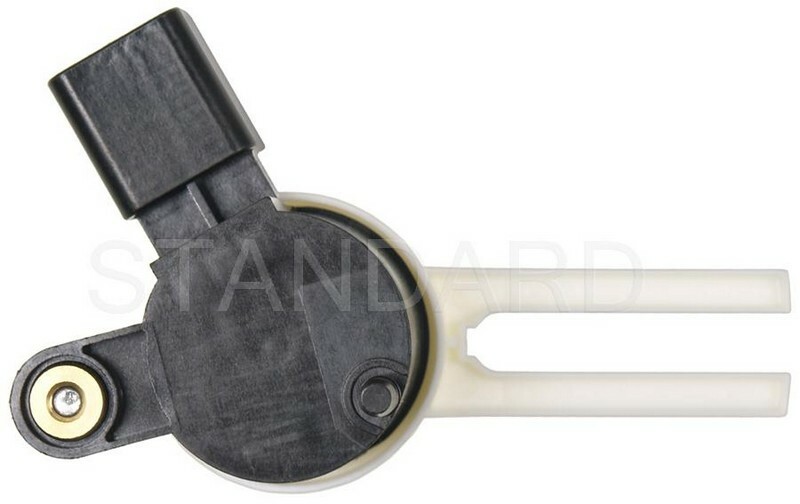 Description : .This top quality Standard Engine Coolant Temperature Sender generally fits Buick - Chevrolet - GMC - Oldsmobile - Pontiac vehicles and includes models such as Regal - CommercialChassis - C1500 - C1500Suburban - C2500 - C2500Suburban - C3500 - Camaro - Express1500 - G10 - Express2500 - G20 - Express3500 - G30 - K1500 - K1500Suburban - K2500 - K2500Suburban - K3500 - LuminaAPV - P30 - R1500Suburban - R2500Suburban - R3500 - S10 - Suburban1500 - Tahoe - V1500Suburban - V2500Suburban - V3500 - G1500 - Savana1500 - G2500 - Savana2500 - G3500 - Savana3500 - P3500 - Sonoma - Syclone - Yukon - Silhouette - TransSport with trims including . Engine types may include 3.8 V6 GAS CARB - 5.7 V8 GAS CARB - 5.0 V8 GAS CARB - 4.3 V6 GAS FI - 6.2 V8 DIESEL FI - 6.5 V8 DIESEL FI - 3.4 V6 GAS FI - 2.8 V6 GAS CARB - 7.4 V8 GAS CARB - 2.5 L4 GAS CARB. This part fits vehicles made in the following years 2002 - 2000 - 1999 - 1998 - 1997 - 1996 - 1995 - 1994 - 1993 - 1992 1991 1990.. 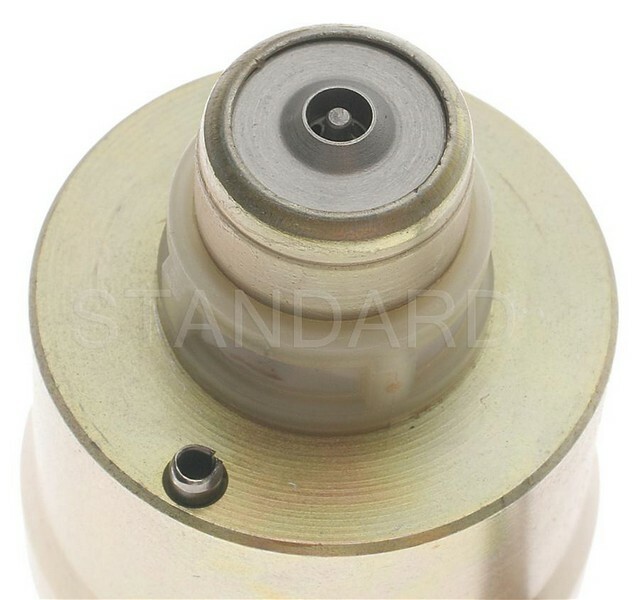 Description : .This top quality Standard Engine Coolant Temperature Sender generally fits Isuzu - Chevrolet - GMC vehicles and includes models such as Hombre - NPR - C1500 - C1500Suburban - C2500 - C2500Suburban - C3500 - Express1500 - Express2500 - Express3500 - K1500 - K1500Suburban - K2500 - K2500Suburban - K3500 - P30 - S10 - Silverado1500 - Suburban1500 - Tahoe - G1500 - Savana1500 - G2500 - Savana2500 - G3500 - Savana3500 - P3500 - Sonoma - Sierra1500 - Yukon with trims including . Engine types may include 4.3 V6 GAS FI - 3.9 L4 DIESEL FI - 5.7 V8 GAS CARB - 4.8 L4 DIESEL FI - 5.0 V8 GAS CARB - 7.4 V8 GAS CARB - 6.5 V8 DIESEL FI. This part fits vehicles made in the following years 2002 - 2001 - 2000 - 1999 - 1998 - 1997 - 1996 1995 1994.. 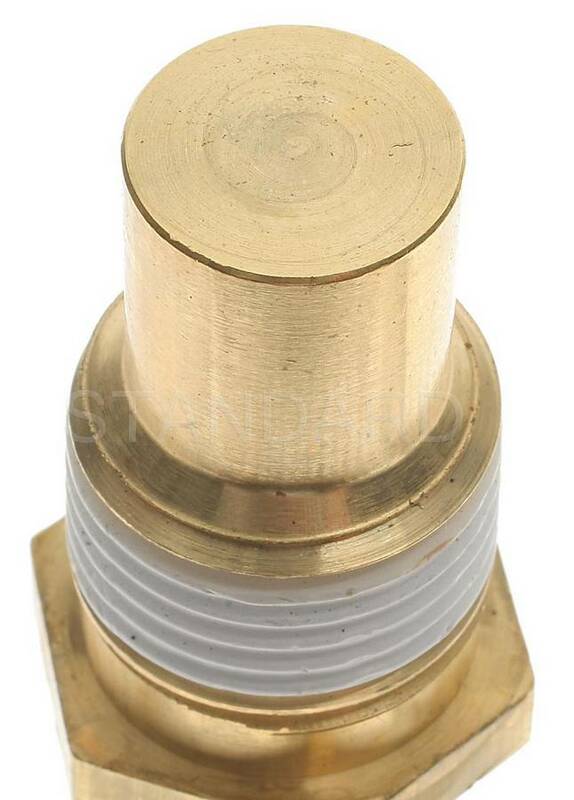 Description : .This top quality Standard Engine Coolant Temperature Switch generally fits Buick - Cadillac - Chevrolet - GMC - Oldsmobile - Pontiac vehicles and includes models such as Century - Electra - EstateWagon - LeSabre - Regal - Riviera - Skylark - Centurion - Special - DeVille - Eldorado - Fleetwood - Seville - BelAir - K5Blazer - C10 - C10Suburban - C1500 - C20 - C20Suburban - C30 - C3500 - Camaro - Caprice - ElCamino - G10 - G20 - G30 - Impala - K10 - K10Suburban - K20 - K20Suburban - K30 - K3500 - Malibu - MonteCarlo - Monza - Nova - P20 - P30 - R20 - R20Suburban - R2500 - R30 - R3500 - V30 - V3500 - G10Van - G30Van - P20Van - P30Van - Chevelle - G20Van - P10Van - C2500 - C2500Suburban - K1500 - K2500 - R2500Suburban - C15Suburban - G15 - G1500 - G25 - G2500 - G35 - G3500 - Jimmy - P25 - P2500 - P35 - P3500 - Sprint - C15/C1500Pickup - C15/C1500Suburban - C25/C2500Pickup - C35/C3500Pickup - G15/G1500Van - G25/G2500Van - K15/K1500Pickup - K25/K2500Pickup - K25/K2500Suburban - K35/K3500Pickup - P15/P1500Van - P25/P2500Van - P35/P3500Van - G35/G3500Van - CutlassCalais - CutlassSupreme - Delta88 - Omega - Starfire - Toronado - Bonneville - Catalina - Firebird - GrandLeMans - GrandPrix - Parisienne - Sunbird - Ventura - Laurentian with trims including . Engine types may include 5.7 V8 GAS CARB - 4.9 V8 GAS CARB - 6.6 V8 GAS CARB - 5.7 V8 GAS FI - 5.0 V8 GAS CARB - 3.8 V6 GAS CARB - 4.3 V8 GAS CARB - 7.5 V8 GAS CARB - 4.1 V6 GAS CARB - 7.4 V8 GAS CARB - 4.1 L6 GAS CARB - 4.8 L6 GAS CARB - 4.1 L6 GAS FI - 4.4 V8 GAS CARB - 5.4 V8 GAS CARB - 5.3 V8 GAS CARB - 2.3 L4 GAS CARB - 2.5 L4 GAS CARB - 3.8 L6 GAS CARB - 6.5 V8 GAS CARB. 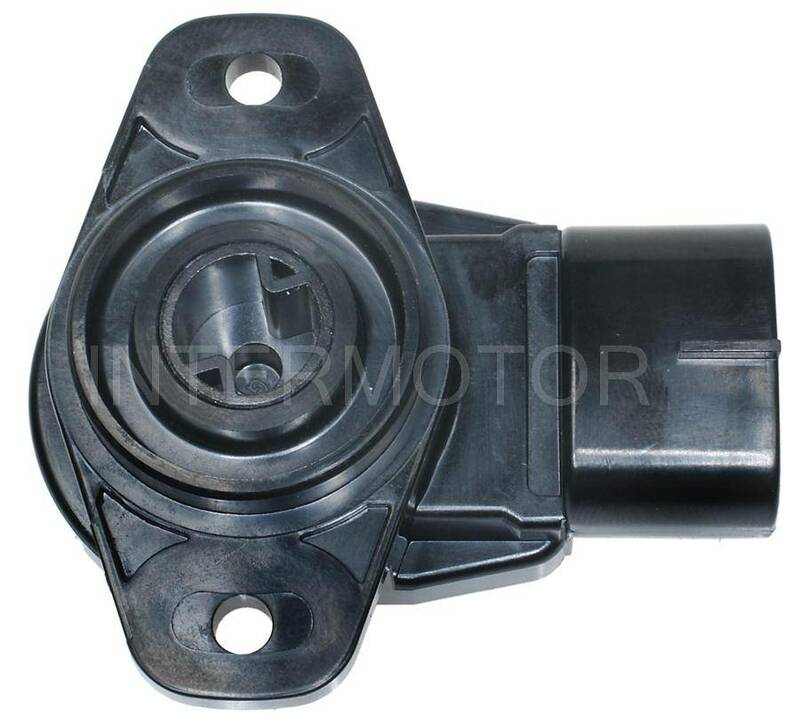 This part fits vehicles made in the following years 1990 - 1989 - 1988 - 1987 - 1986 - 1985 - 1984 - 1983 - 1982 - 1981 - 1980 - 1979 - 1978 - 1977 - 1976 - 1975 - 1974 - 1973 - 1972 - 1971 - 1969 - 1968 1967 1966.. 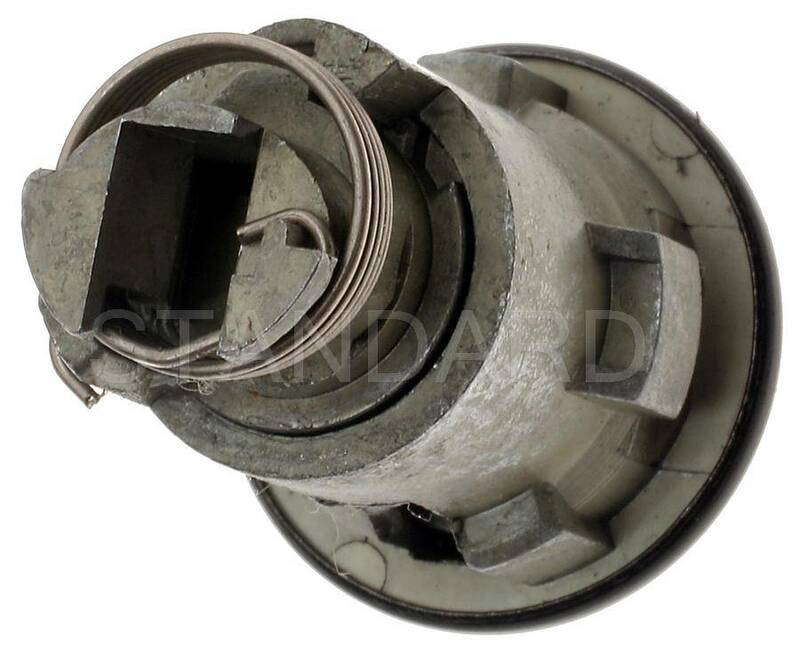 Description : .This top quality Standard Engine Coolant Temperature Switch generally fits Buick - Cadillac - Chevrolet - GMC - Oldsmobile - Pontiac vehicles and includes models such as Century - Electra - EstateWagon - LeSabre - Regal - Riviera - Skylark - Centurion - Special - DeVille - Eldorado - Fleetwood - Seville - BelAir - K5Blazer - C10 - C10Suburban - C1500 - C20 - C20Suburban - C30 - C3500 - Camaro - Caprice - ElCamino - G10 - G20 - G30 - Impala - K10 - K10Suburban - K20 - K20Suburban - K30 - K3500 - Malibu - MonteCarlo - Monza - Nova - P20 - P30 - R20 - R20Suburban - R2500 - R30 - R3500 - V30 - V3500 - G10Van - G30Van - P20Van - P30Van - Chevelle - G20Van - P10Van - C2500 - C2500Suburban - K1500 - K2500 - R2500Suburban - C15Suburban - G15 - G1500 - G25 - G2500 - G35 - G3500 - Jimmy - P25 - P2500 - P35 - P3500 - Sprint - C15/C1500Pickup - C15/C1500Suburban - C25/C2500Pickup - C35/C3500Pickup - G15/G1500Van - G25/G2500Van - K15/K1500Pickup - K25/K2500Pickup - K25/K2500Suburban - K35/K3500Pickup - P15/P1500Van - P25/P2500Van - P35/P3500Van - G35/G3500Van - CutlassCalais - CutlassSupreme - Delta88 - Omega - Starfire - Toronado - Bonneville - Catalina - Firebird - GrandLeMans - GrandPrix - Parisienne - Sunbird - Ventura - Laurentian with trims including . Engine types may include 5.7 V8 GAS CARB - 4.9 V8 GAS CARB - 5.7 V8 GAS FI - 6.6 V8 GAS CARB - 5.0 V8 GAS CARB - 3.8 V6 GAS CARB - 4.3 V8 GAS CARB - 7.5 V8 GAS CARB - 4.1 V6 GAS CARB - 4.1 L6 GAS CARB - 7.4 V8 GAS CARB - 4.8 L6 GAS CARB - 4.1 L6 GAS FI - 4.4 V8 GAS CARB - 5.4 V8 GAS CARB - 5.3 V8 GAS CARB - 2.3 L4 GAS CARB - 2.5 L4 GAS CARB - 3.8 L6 GAS CARB - 6.5 V8 GAS CARB. This part fits vehicles made in the following years 1990 - 1989 - 1988 - 1987 - 1986 - 1985 - 1984 - 1983 - 1982 - 1981 - 1980 - 1979 - 1978 - 1977 - 1976 - 1975 - 1974 - 1973 - 1972 - 1971 - 1969 - 1968 1967 1966.. 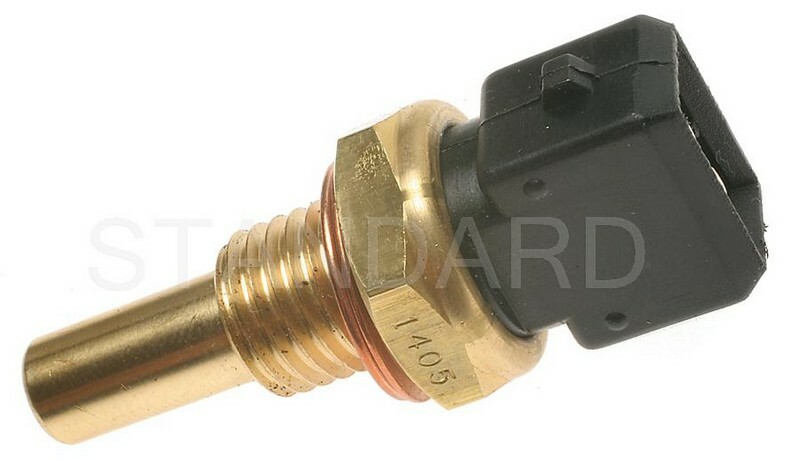 Description : .This top quality Standard Engine Coolant Temperature Switch generally fits Buick - Cadillac - Chevrolet - GMC - Oldsmobile - Pontiac - AmericanMotors vehicles and includes models such as Century - Electra - EstateWagon - LeSabre - Regal - Riviera - Skylark - DeVille - Eldorado - Fleetwood - Brougham - Seville - Blazer - K5Blazer - C10 - C10Suburban - C1500 - C20 - C20Suburban - C2500 - C30 - C3500 - Camaro - Caprice - Celebrity - CitationII - ElCamino - G10 - G20 - G30 - Impala - K10 - K10Suburban - K1500 - K20 - K2500 - K30 - K3500 - MonteCarlo - Monza - P20 - P30 - R10 - R20 - R30 - R3500 - S10Blazer - V10 - V20 - V30 - V3500 - C1500Suburban - C2500Suburban - R1500Suburban - R2500 - R2500Suburban - V1500Suburban - V2500Suburban - C15Suburban - G1500 - G2500 - G3500 - Jimmy - P2500 - P3500 - S15Jimmy - CutlassCalais - CutlassCiera - CustomCruiser - CutlassSalon - CutlassSupreme - Delta88 - Firenza - Omega - Starfire - Toronado - 6000 - Bonneville - Catalina - Firebird - GrandLeMans - J2000Sunbird - Parisienne - Spirit - Concord - Eagle with trims including . Engine types may include 3.8 V6 GAS CARB - 2.5 L4 GAS CARB - 3.0 V6 GAS CARB - 4.3 V6 DIESEL FI - 4.1 V6 GAS CARB - 5.7 V8 GAS CARB - 5.0 V8 GAS CARB - 4.4 V8 GAS CARB - 5.7 V8 GAS FI - 4.1 L6 GAS CARB - 4.3 V6 GAS FI - 4.8 L6 GAS CARB - 2.8 V6 GAS CARB - 1.8 L4 GAS FI - 4.3 V8 GAS CARB - 2.5 L4 GAS FI. This part fits vehicles made in the following years 1990 - 1989 - 1988 - 1987 - 1986 - 1985 - 1984 - 1983 - 1982 - 1981 - 1980 1979 1978.. 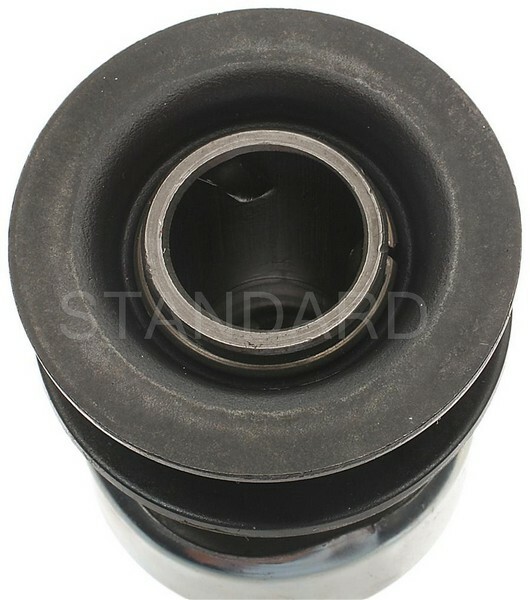 Description : .This top quality Standard Engine Coolant Temperature Sender generally fits Buick - Chevrolet - GMC - Oldsmobile - Pontiac - AmericanMotors vehicles and includes models such as Century - Electra - LeSabre - Regal - Riviera - Skyhawk - Skylark - C10 - C10Suburban - C1500 - C20 - C20Suburban - C2500 - C30 - C3500 - Camaro - Caprice - Cavalier - Chevette - ElCamino - G10 - G20 - G30 - Impala - K10 - K10Suburban - K1500 - K1500Suburban - K20 - K20Suburban - K2500 - K2500Suburban - K30 - K3500 - Malibu - MonteCarlo - Monza - P20 - P30 - R10 - R10Suburban - R1500Suburban - R20 - R20Suburban - R2500Suburban - R30 - R3500 - S10Blazer - V10 - V10Suburban - V1500Suburban - V20 - V20Suburban - V2500Suburban - V30 - V3500 - C1500Suburban - C2500Suburban - G1500 - G2500 - G3500 - P2500 - P3500 - S15Jimmy - CutlassCiera - CustomCruiser - CutlassSalon - CutlassCruiser - CutlassSupreme - Delta88 - Firenza - Omega - Starfire - 6000 - Firebird - J2000 - J2000Sunbird - Parisienne - Phoenix - T1000 - Spirit - Concord - Eagle with trims including . Engine types may include 2.8 V6 GAS CARB - 4.3 V6 DIESEL FI - 2.5 L4 GAS CARB - 3.0 V6 GAS CARB - 3.8 V6 GAS CARB - 4.1 V6 GAS CARB - 5.7 V8 GAS CARB - 4.3 V8 GAS CARB - 4.4 V8 GAS CARB - 5.7 V8 GAS FI - 5.0 V8 GAS CARB - 1.8 L4 GAS FI - 1.8 L4 GAS CARB - 4.8 L6 GAS CARB - 4.1 L6 GAS CARB - 7.4 V8 GAS CARB - 6.2 V8 DIESEL FI - 4.3 V6 GAS FI - 6.6 V8 GAS CARB - 2.0 L4 GAS FI - 1.8 L4 DIESEL FI - 1.6 L4 GAS CARB - 3.3 V6 GAS CARB - 3.9 L4 DIESEL FI - 2.5 L4 GAS FI. This part fits vehicles made in the following years 1992 - 1991 - 1990 - 1989 - 1988 - 1987 - 1986 - 1985 - 1984 - 1983 - 1982 - 1981 1980 1979.. 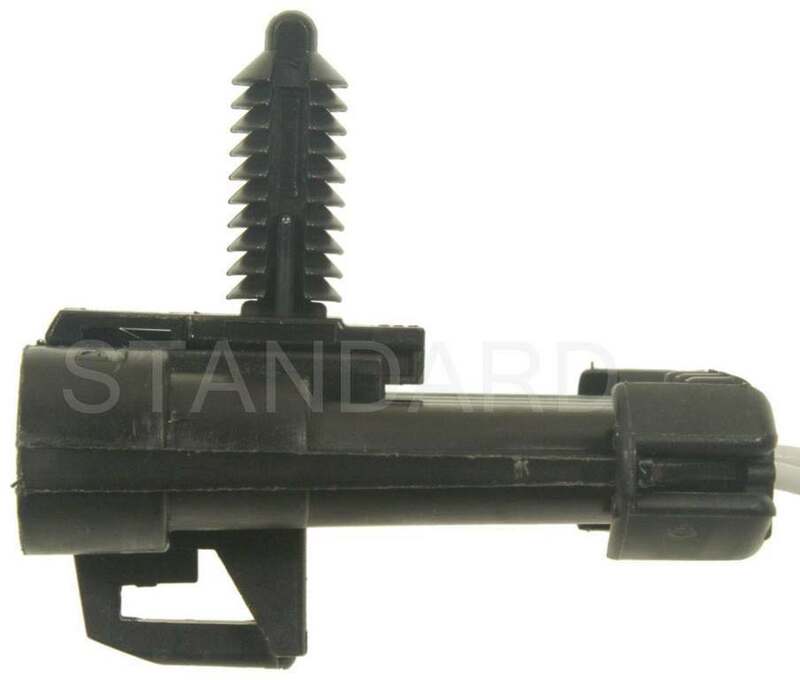 Description : .This top quality Standard Turn Signal Switch generally fits Dodge - Jeep - Plymouth - Buick - Chevrolet - GMC - Oldsmobile - AmericanMotors vehicles and includes models such as B100 - B200 - B300 - CJ7 - Cherokee - Comanche - GrandWagoneer - J10 - J20 - PB100 - PB200 - PB300 - EstateWagon - Laguna - C5500Kodiak - C60Kodiak - C70Kodiak - C5000Topkick - C6000Topkick - C7000Topkick - CutlassSalon - CutlassCruiser - Spirit - AMX - Concord - Eagle - Pacer with trims including . Engine types may include 5.2 V8 GAS FI - 5.9 V8 GAS CARB - 3.7 L6 GAS CARB - 7.2 V8 GAS CARB - 6.6 V8 GAS CARB - 4.2 L6 GAS CARB - 5.0 V8 GAS CARB - 2.5 L4 GAS CARB - 2.5 L4 GAS FI - 4.0 L6 GAS FI - 7.5 V8 GAS CARB - 5.7 V8 GAS CARB - 6.0 V8 GAS CARB - 6.6 L6 DIESEL FI - 7.0 V8 GAS FI - 6.5 V8 DIESEL FI - 7.2 L6 DIESEL FI - 7.4 V8 GAS CARB - 3.8 V6 GAS CARB - 2.8 V6 GAS CARB. This part fits vehicles made in the following years 2000 - 1999 - 1998 - 1997 - 1996 - 1995 - 1994 - 1993 - 1992 - 1991 - 1990 - 1988 - 1987 - 1986 - 1985 - 1984 - 1983 - 1982 - 1981 - 1980 - 1979 - 1978 - 1977 1976 1975.. 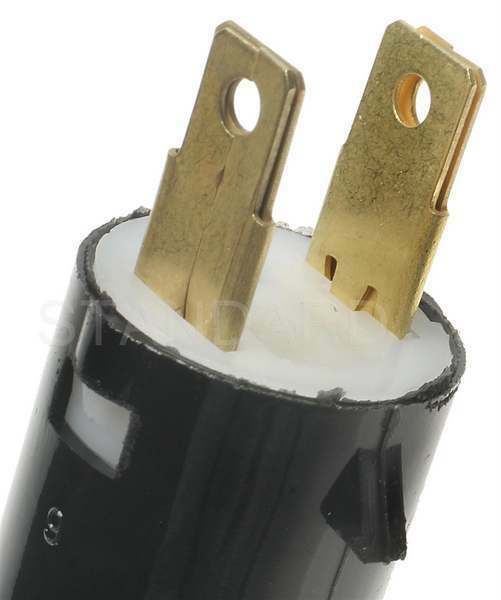 Description : .This top quality Standard Turn Signal Switch generally fits Dodge - Jeep - Plymouth - Buick - Chevrolet - GMC - Oldsmobile - AmericanMotors vehicles and includes models such as B100 - B200 - B300 - CJ7 - Cherokee - Comanche - GrandWagoneer - J10 - J20 - PB100 - PB200 - PB300 - EstateWagon - Laguna - C5500Kodiak - C60Kodiak - C70Kodiak - C5000Topkick - C6000Topkick - C7000Topkick - CutlassSalon - CutlassCruiser - Spirit - AMX - Concord - Eagle - Pacer with trims including . Engine types may include 5.9 V8 GAS CARB - 5.2 V8 GAS FI - 3.7 L6 GAS CARB - 6.6 V8 GAS CARB - 7.2 V8 GAS CARB - 2.5 L4 GAS CARB - 4.2 L6 GAS CARB - 5.0 V8 GAS CARB - 2.5 L4 GAS FI - 4.0 L6 GAS FI - 7.5 V8 GAS CARB - 5.7 V8 GAS CARB - 6.0 V8 GAS CARB - 6.6 L6 DIESEL FI - 7.0 V8 GAS FI - 6.5 V8 DIESEL FI - 7.2 L6 DIESEL FI - 7.4 V8 GAS CARB - 3.8 V6 GAS CARB - 2.8 V6 GAS CARB. This part fits vehicles made in the following years 2000 - 1999 - 1998 - 1997 - 1996 - 1995 - 1994 - 1993 - 1992 - 1991 - 1990 - 1988 - 1987 - 1986 - 1985 - 1984 - 1983 - 1982 - 1981 - 1980 - 1979 - 1978 - 1977 1976 1975.. 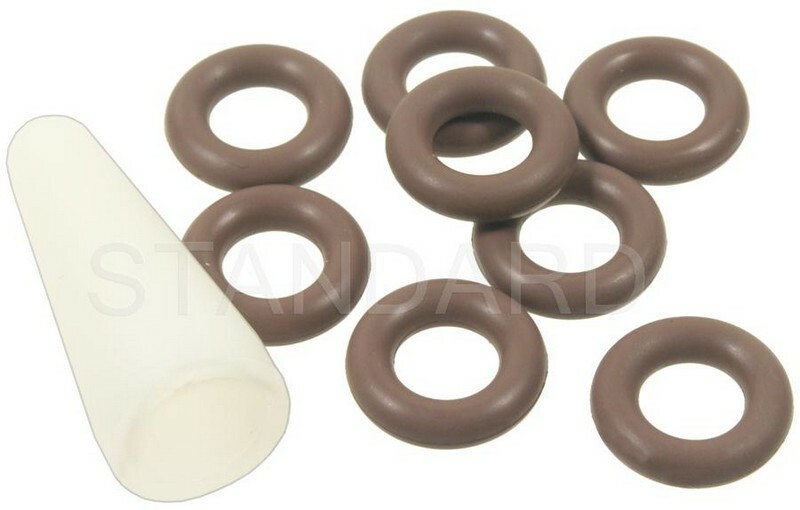 Description : .This top quality Standard Turn Signal Repair Kit generally fits Renault - Chrysler - Dodge - Jeep - Plymouth - Buick - Chevrolet - GMC - Oldsmobile - AmericanMotors - International vehicles and includes models such as Alliance - Encore - TownCountry - Colt - Commando - DJ5 - Caravelle - GranFury - GTX - EstateWagon - C10 - C20 - C30 - K10 - K20 - K30 - C1500 - C2500 - C3500 - K1500 - K2500 - K3500 - CutlassCalais - VistaCruiser - 442 - Eagle - Travelall with trims including . Engine types may include 1.4 L4 GAS FI - 1.7 L4 GAS FI - 2.0 L4 GAS FI - 6.3 V8 GAS CARB - 5.9 V8 GAS CARB - 6.7 V8 GAS CARB - 7.2 V8 GAS CARB - 6.6 V8 GAS CARB - 1.6 L4 GAS CARB - 3.8 L6 GAS CARB - 5.0 V8 GAS CARB - 2.2 L4 GAS CARB - 4.2 L6 GAS CARB - 3.7 L6 GAS CARB - 5.2 V8 GAS CARB - 7.0 V8 GAS CARB - 7.5 V8 GAS CARB - 5.7 V8 GAS CARB - 5.7 V8 GAS FI - 4.3 V6 GAS FI - 6.2 V8 DIESEL FI - 4.8 L6 GAS CARB - 7.4 V8 GAS CARB - 4.3 V8 GAS CARB - 4.4 V8 GAS CARB - 3.8 V6 GAS CARB - 4.3 V6 DIESEL FI - 5.4 V8 GAS CARB - 4.1 L6 GAS FI - 5.6 V8 GAS CARB - 6.4 V8 GAS CARB. This part fits vehicles made in the following years 1987 - 1986 - 1985 - 1984 - 1983 - 1982 - 1980 - 1979 - 1978 - 1977 - 1976 - 1975 - 1974 - 1973 - 1972 - 1971 - 1970 - 1969 - 1968 - 1967 - 1966 1965 1964.. 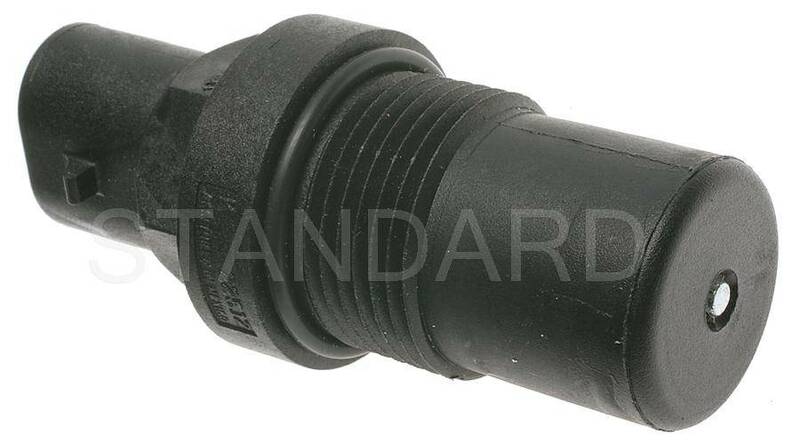 Description : .This top quality Standard Engine Coolant Temperature Sensor generally fits Chevrolet - GMC vehicles and includes models such as C3500 - Express3500 - Silverado2500HD - Silverado3500 - Suburban2500 - C6500Kodiak - C7500Kodiak - Savana3500 - P3500 - Sierra2500HD - Sierra3500 - YukonXL2500 - C6500Topkick - C7500Topkick with trims including . Engine types may include 8.1 V8 GAS FI - 7.4 V8 GAS CARB. This part fits vehicles made in the following years 2002 - 2001 2000 1999.. 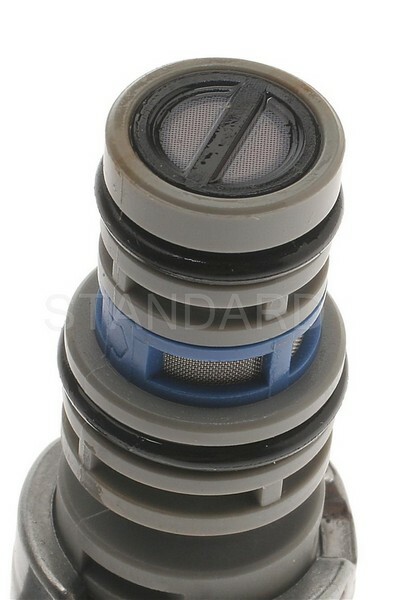 Description : .This top quality Standard Engine Coolant Temperature Sensor generally fits Isuzu - Buick - Chevrolet - GMC - Saab vehicles and includes models such as Ascender - Rainier - Trailblazer - Envoy - 9-7x with trims including . Engine types may include 4.2 L6 GAS FI. This part fits vehicles made in the following years 2005 2004 2003.. 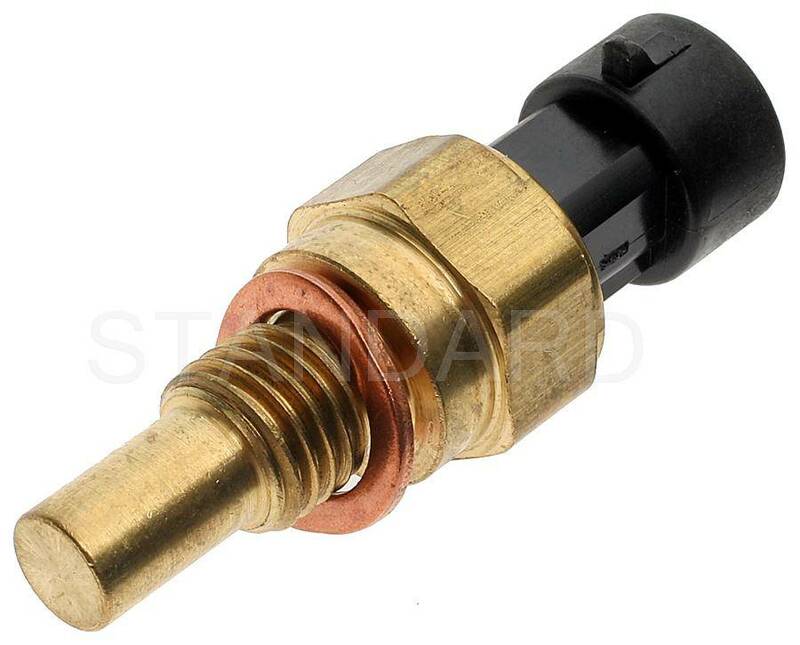 Description : .This top quality Standard Engine Coolant Temperature Sensor generally fits Chevrolet - Pontiac vehicles and includes models such as Camaro Firebird with trims including . Engine types may include 5.7 V8 GAS FI 5.7 V8 GAS CARB. This part fits vehicles made in the following years 1998.. Description : .This top quality Standard Engine Coolant Temperature Sensor generally fits Isuzu - Buick - Chevrolet - GMC - Saab - Hummer vehicles and includes models such as Ascender - i-280 - Rainier - Trailblazer - Colorado - Envoy - Canyon - 9-7x - H3T with trims including . Engine types may include 4.2 L6 GAS FI - 2.8 L4 GAS FI - 3.7 L5 GAS FI - 2.9 L4 GAS FI. This part fits vehicles made in the following years 2012 - 2011 - 2010 - 2009 - 2008 2007 2006..